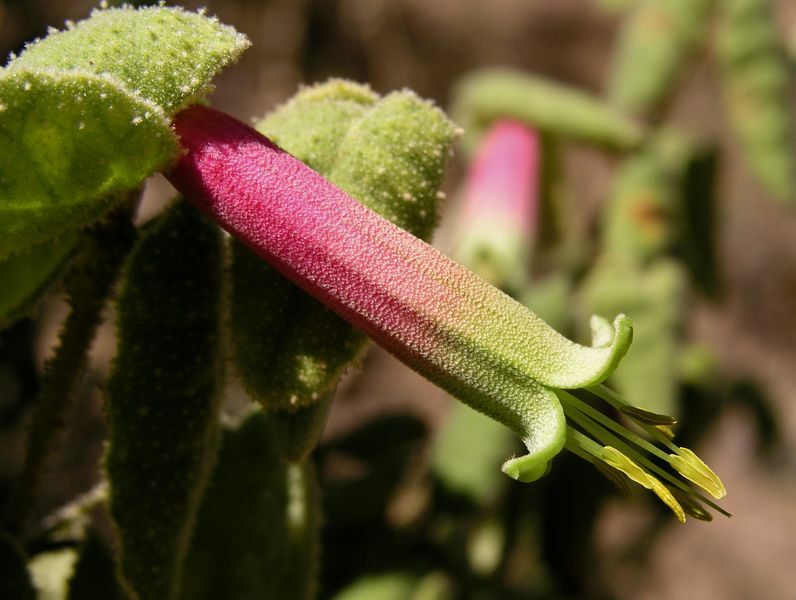 Once upon a time, Australia's native plants were considered primitive and strange. Early European settlers filled their gardens with plants that reminded them of home, dismissing the bottlebrush or wild fuschia in favour of the English rose, for example. Thankfully, since the early 1900s we've seen a resurging pride in our country's natural beauty. We can boast some 24,000 species of native plants. Compare that to England's paltry 1,700 and you know Australia’s flora is something special. 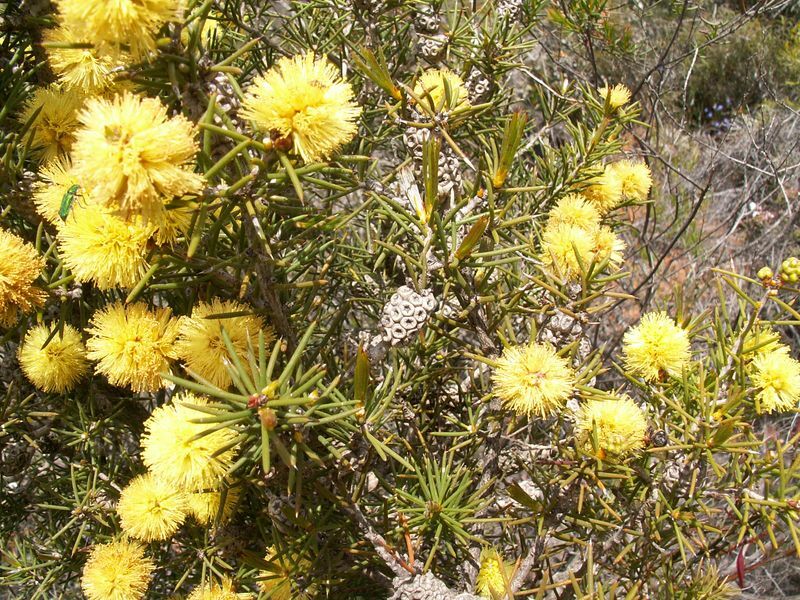 This guide offers you a common list of Australian native plants, sorted alphabetically by the Latin name, with the more popular name beside it. 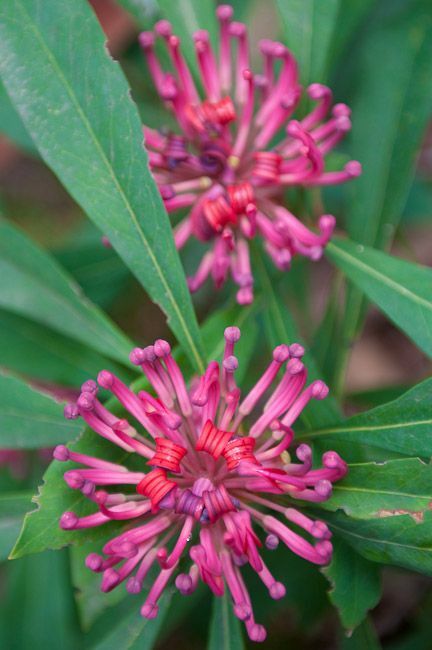 Browse through our lists of native trees, shrubs, flowering plants and orchids to find the ideal plants for your backyard. Interested in cultivating these native plants alongside your natural looking artificial grass? This guide will let you know how easy it will be, and the best methods for getting awesome results. 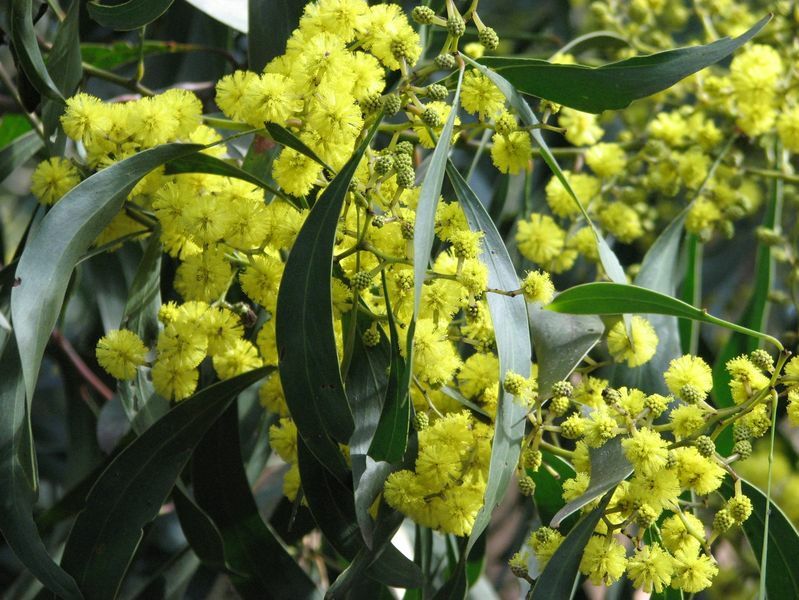 The wattle is one of Australia’s favourite plants – it’s so famous the golden wattle is even the country’s national floral emblem. There are around 1,200 species of acacia, most of which grow along the coast, in the mountains and even in our dry interior. Wattles are usually small to large shrubs but some can grow to large trees. They have tiny flowers arranged into rod-like heads. These flowers typically range between white and bright yellow colours. 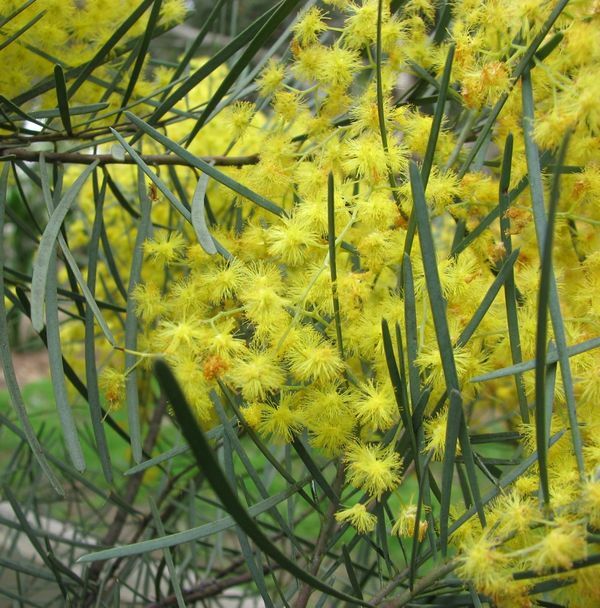 Most wattles flower in spring, but about a third of the species flower in winter. 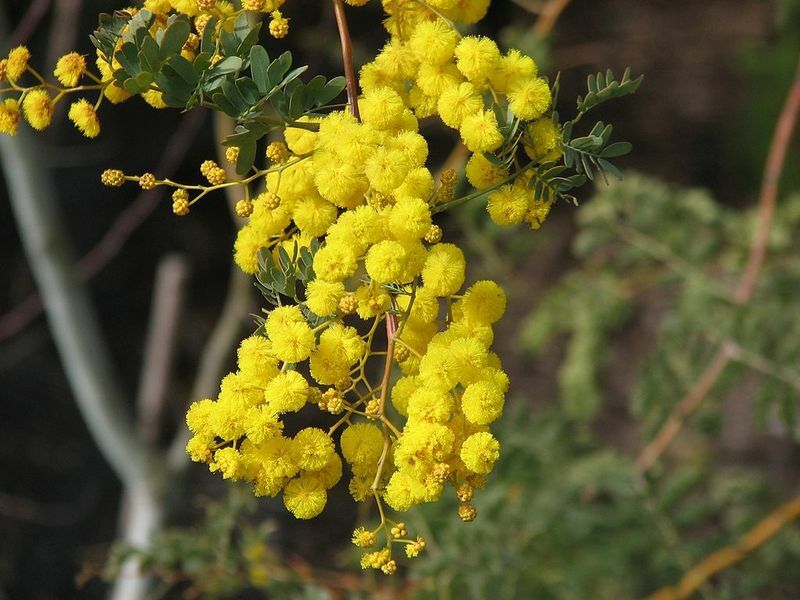 It’s easy to grow acacias from seeds or from cuttings. They’re best sown in spring or early autumn. 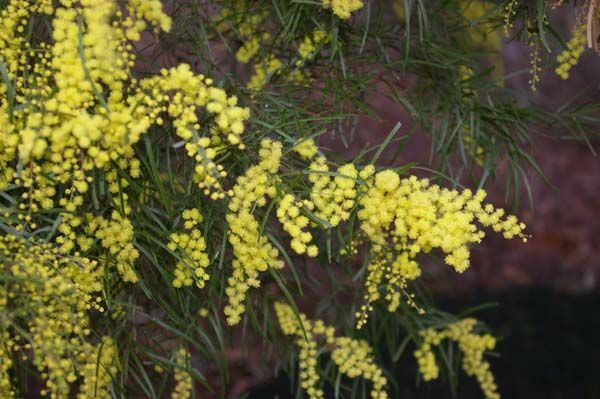 Acacias are great to plant if you’re growing a garden from scratch – they’re ideal as a screen. But it’s best to prune the bush occasionally. 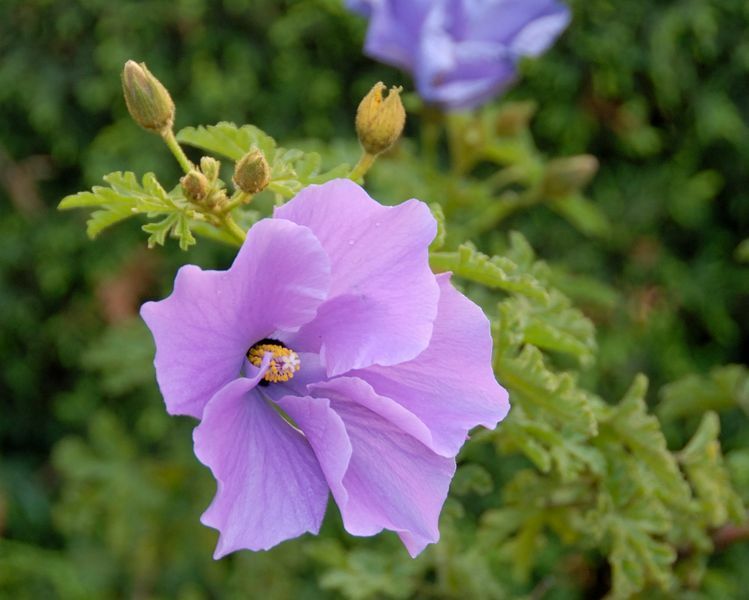 This is a gorgeous plant to have in your garden – in fact, it’s so popular, its cut flowers are exported across the globe. There are some 11 species of anigozanthos, which are the genus most kangaroo paw fit into. 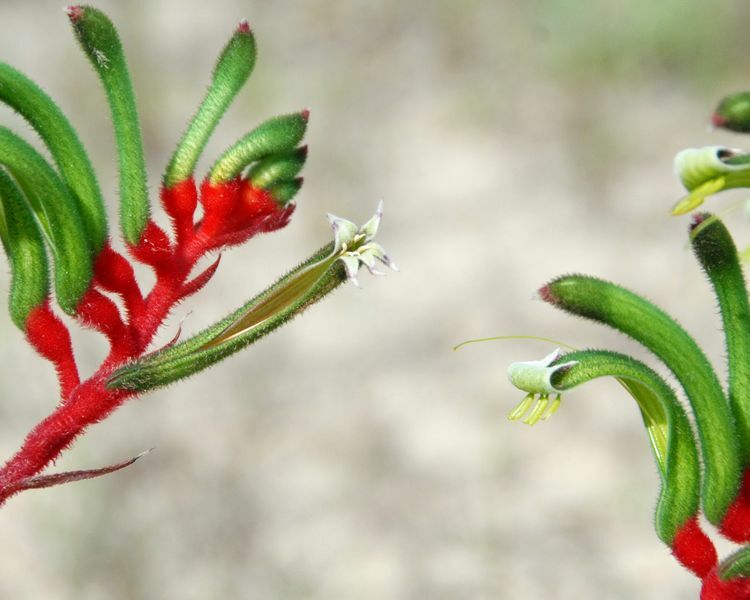 The Red and Green Kangaroo Paw is the floral emblem of Western Australia. Anigozanthos and Macropidia (which features the closely related Black Kangaroo Paw) only naturally grow in Western Australia’s south west. They enjoy a variety of soil types. Kangaroo paw are generally small plants about one metre high and one metre wide. 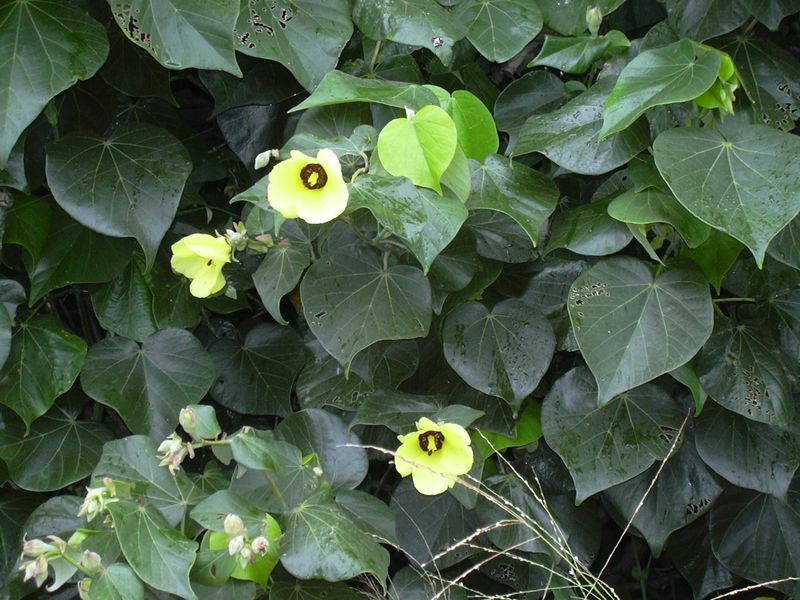 They’re defined by their narrow, tubular flowers, which appear in spring and summer. You can propagate anigozanthos by sowing its seed into a freely draining seed-raising mix. It’s best to propagate during spring and summer. 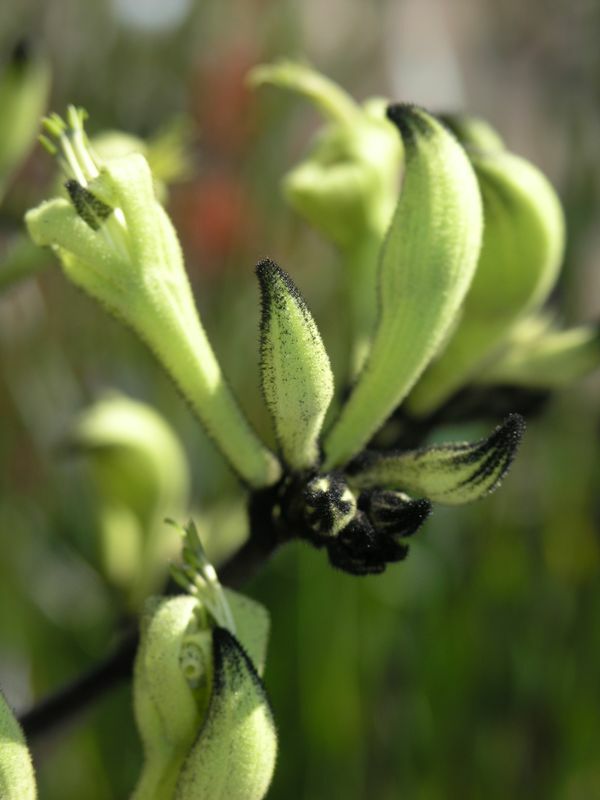 On the other hand, Black Kangaroo Paw (macropidia fuliginosa) is hard to propagate whether from seed or a cutting and may be best to buy commercially. You’ll be able to enjoy flowers after a year, but keep in mind most species are dormant or even die back during winter. Don’t overwater them at this time! Instead, cut them back to just 10 cm of ground in late winter to remove diseased and frost-damaged leaves. 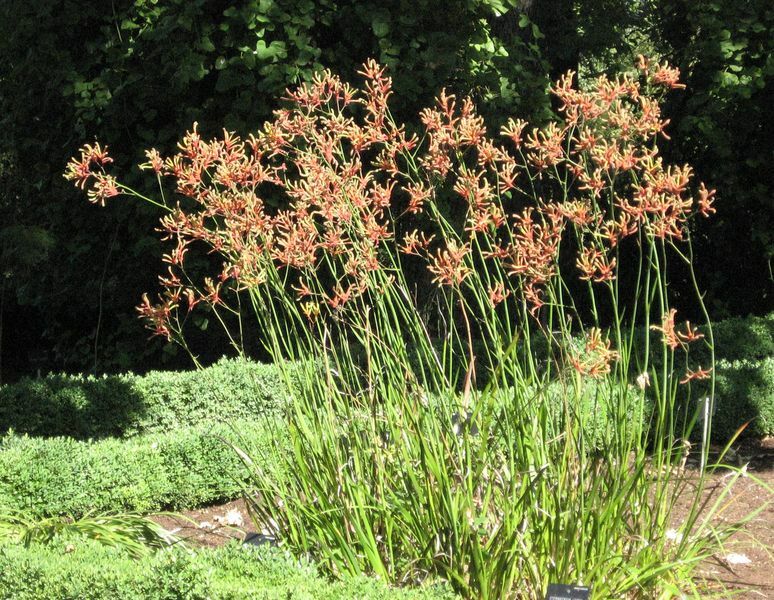 Kangaroo paws generally enjoy well-drained and well-composted soil in the sun. But the species does have a relatively short life of between three and five years so don’t get too attached! Araucaria are evergreen conifers prevalent in eastern Australia. They are large trees with horizontal branches and needle-like leaves. The araucaria is an ancient tree found only in the southern hemisphere. 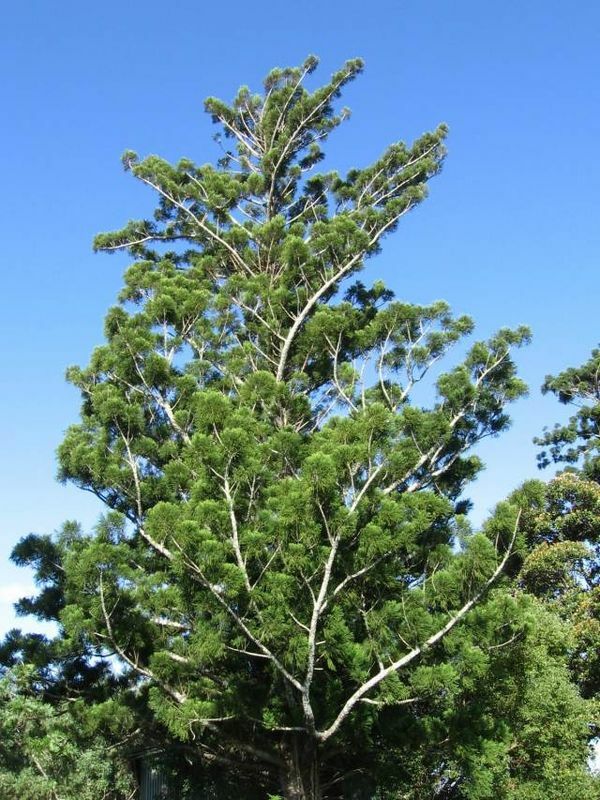 Araucaria species in Australia are better known as the Bunya Pine and the Moreton Bay Pine. Growing araucaria can be unpredictable. A seed can take anywhere between one month and eighteen to germinate! So naturally, this plant is best bought as a seedling. 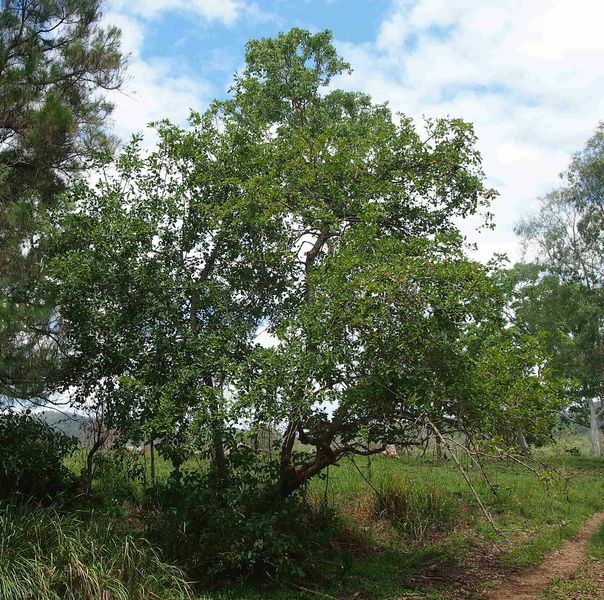 It grows best where the annual rainfall exceeds 30 inches – that’s north of Macleay River in eastern New South Wales up to the Cape York Peninsula. 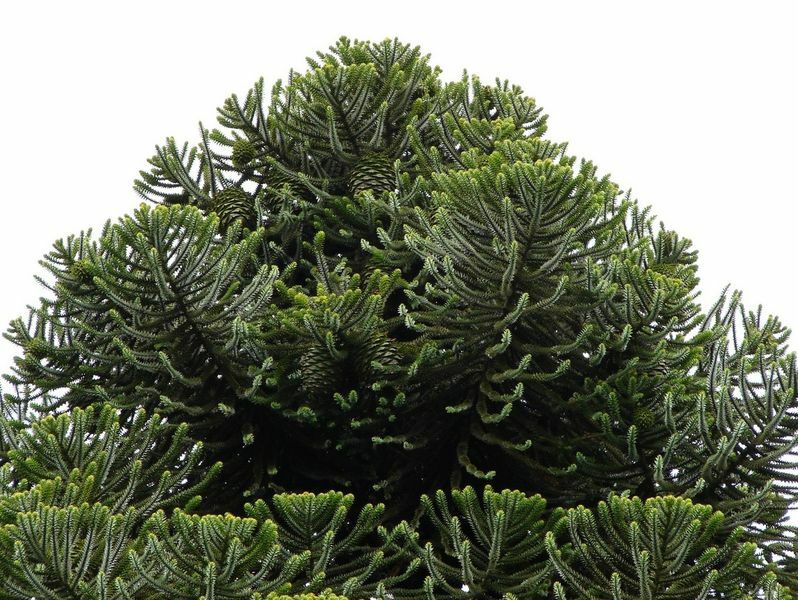 The araucaria grows to between 30 and 45 metres high, so make sure it’s planted where there’s room to expand! For more information, check out Permaculture Research Institute. 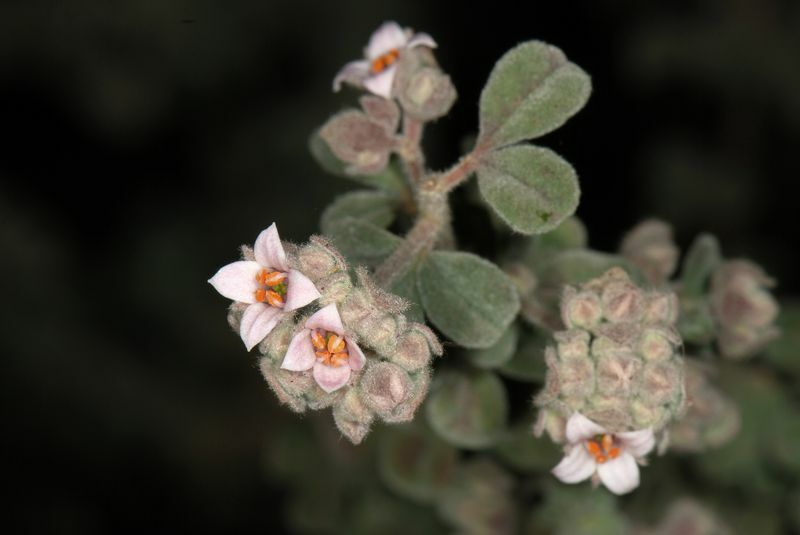 There are some 250 to 300 species of atriplex, some 61 of which you can find right here in Australia. 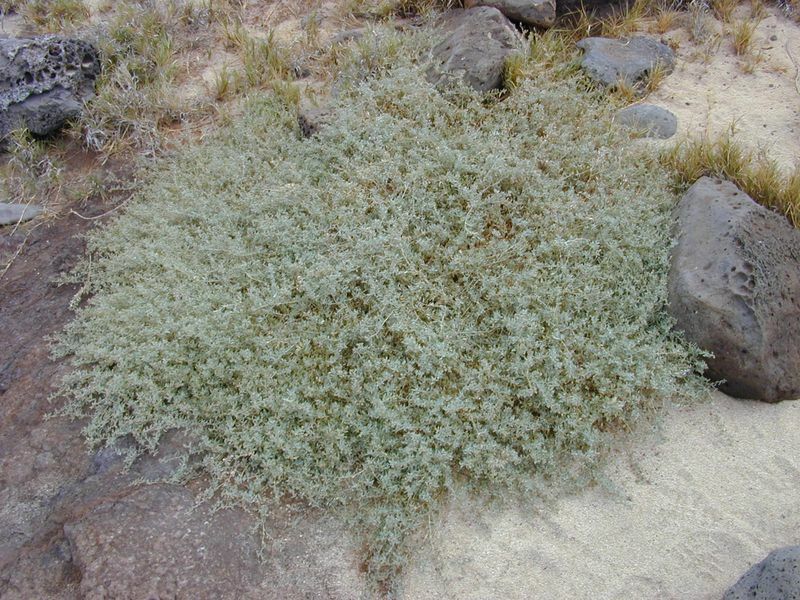 More commonly called saltbush, atriplex is a hardy plant that can tolerate droughts as well as flooding. 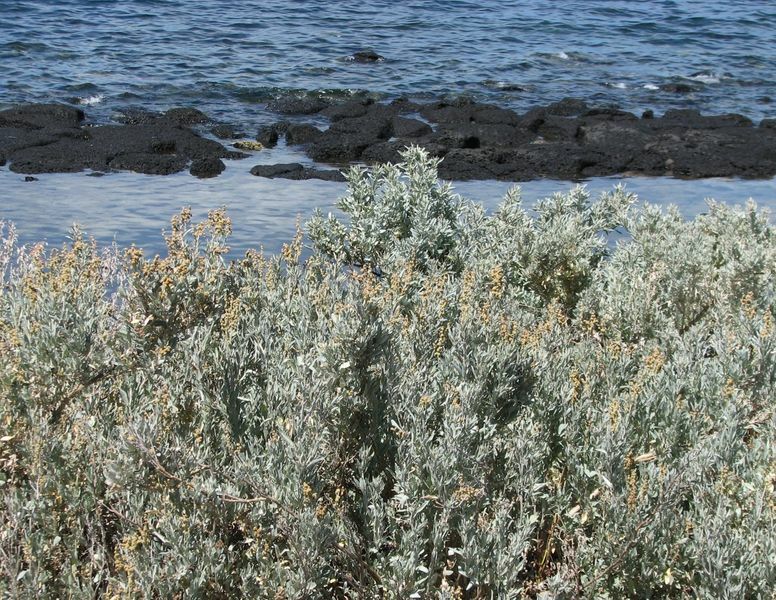 The saltbush retains salt in its leaves, which makes it a great plant to grown in more salty regions. The well-known Old Man Saltbush is a popular shrub found mostly in saline, clay soils on mainland Australia. The saltbush can grow up to three metres high and can spread to four metres wide. Its silvery grey leaves have a scaly coating. You can use cuttings or seeds to propagate the saltbush. For the best results with seeds, rub the fruits with your hands under water for a few minutes, or soak them underwater for at least an hour. The best times to sow your seeds are in autumn, early winter and spring. Place cuttings into a mixture of sand and potting mix with plenty of ventilation. Your saltbush will thrive in a sunny, well-drained position and can be easily pruned. It is both frost and salt tolerant. 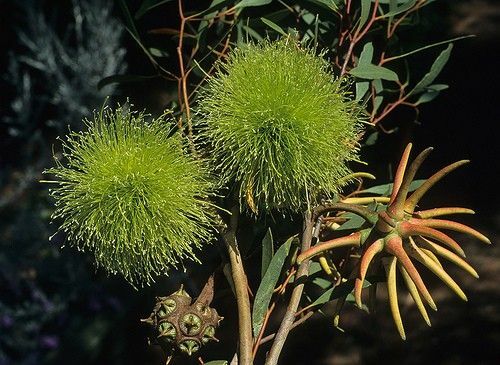 The banksia, with its distinctive candle-shaped flowers, is one of Australia’s best known native plants. After all, there are 173 species of this genus, with all but one found naturally in Australia. 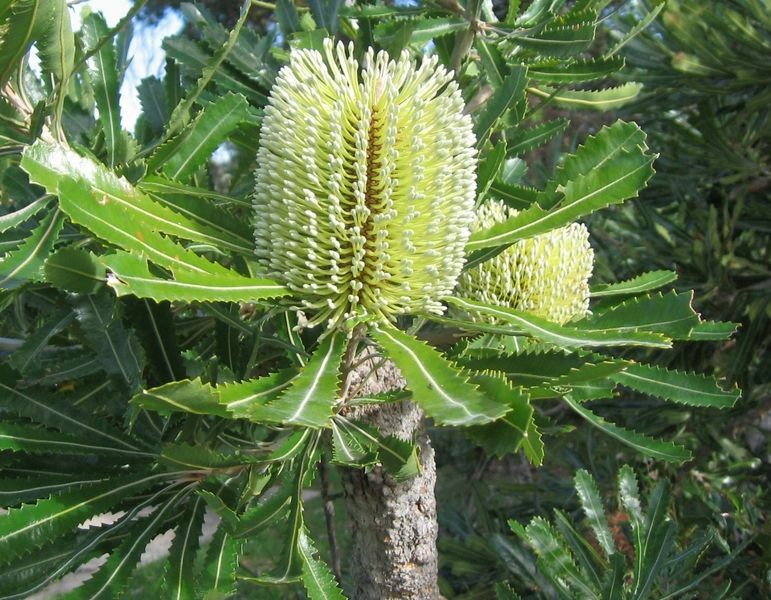 Southwestern Australia enjoys the greatest diversity of banksia, with some 60 species, although the eastern coast is equally flecked with species. 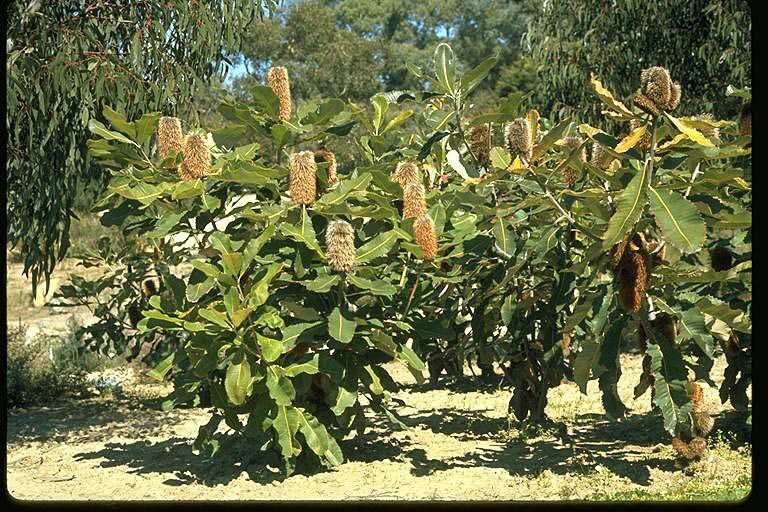 Few banksias thrive in arid regions or rainforests. 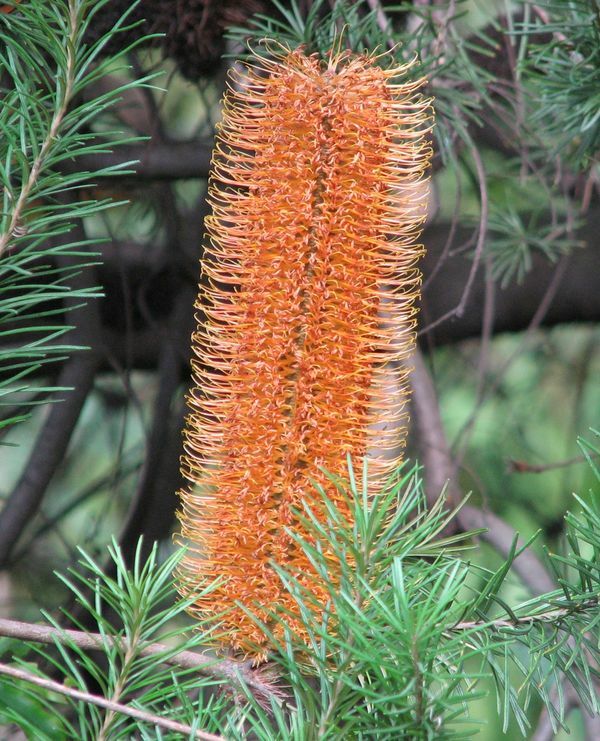 The banksia can range from a low-lying shrub to a tall tree reaching 25 metres in height. It is characterised by its candle-like or cone-like flowers which actually consist of hundreds or even thousands of tiny individual blooms grouped together. You’re most likely to see its yellow to red flowers blossoming in winter. 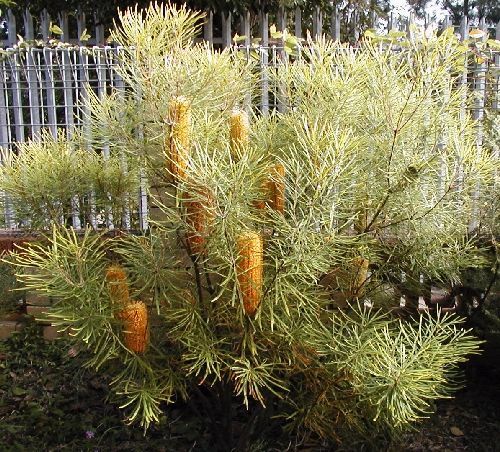 The banksia can easily be grown from seed, which you’ll find inside the cone-like fruit. If you want to access the seeds, place the cones in an oven set at about 120-140 degrees Celsius for about an hour. The cone will crack open, making the seeds easily accessible with tweezers. Sow the seeds in well-drained, clean seed-raising mix. Make sure the mixture is always well watered; it should not dry out! Grow the plants in well drained soils with a sunny aspect in your garden. 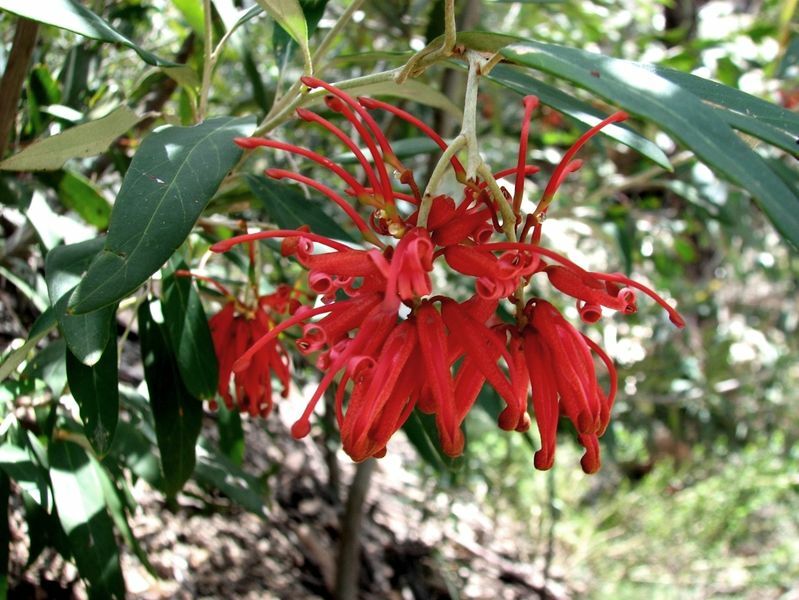 Their flowers are a favourite for many indigenous fauna so it’s a great way to attract native animals into your garden! 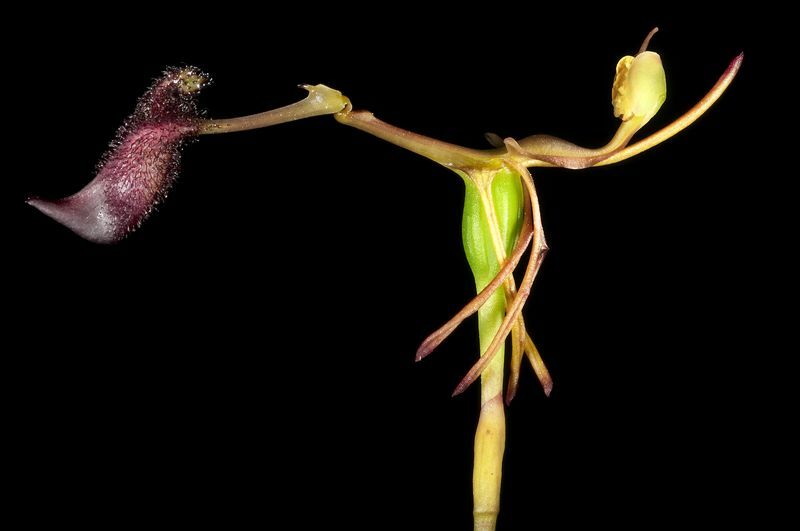 The rather strangely-shaped spider orchid is found in southern Australia. 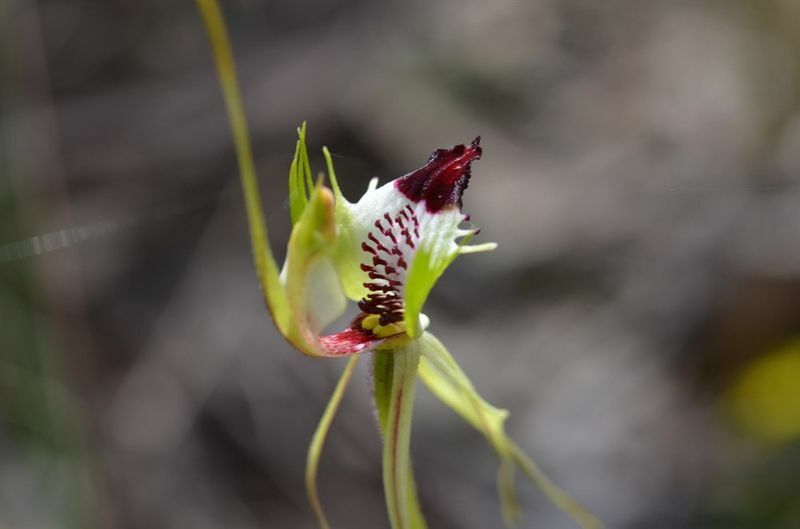 New species are being discovered all the time, which makes the total variety of spider orchids hard to place. 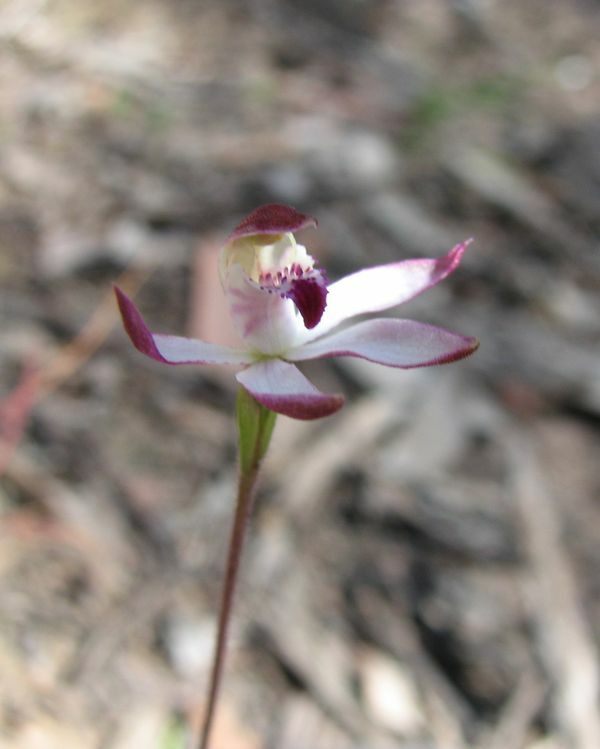 The southwestern corner of Western Australia has the most varied range of spider orchids. 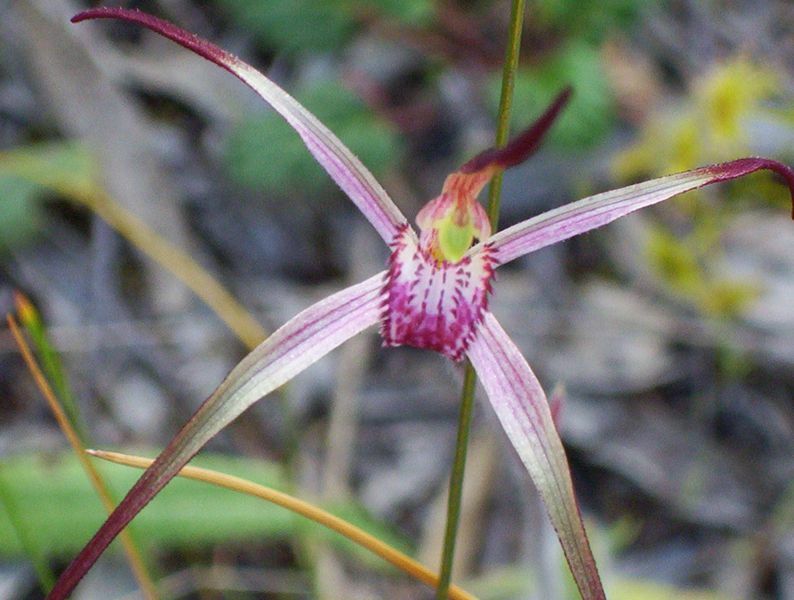 Yet many species of caladenia, including the crimson spider orchid, are endangered. 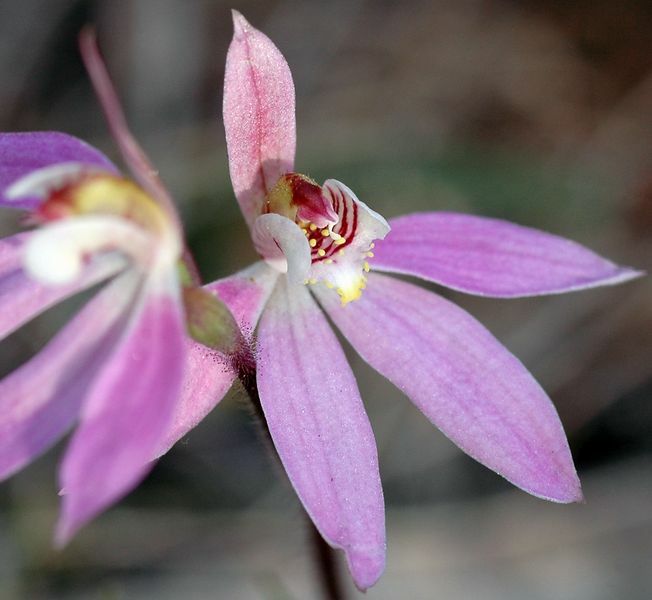 Caladenia are small to medium-sized orchids growing from 10-60 cm in height. 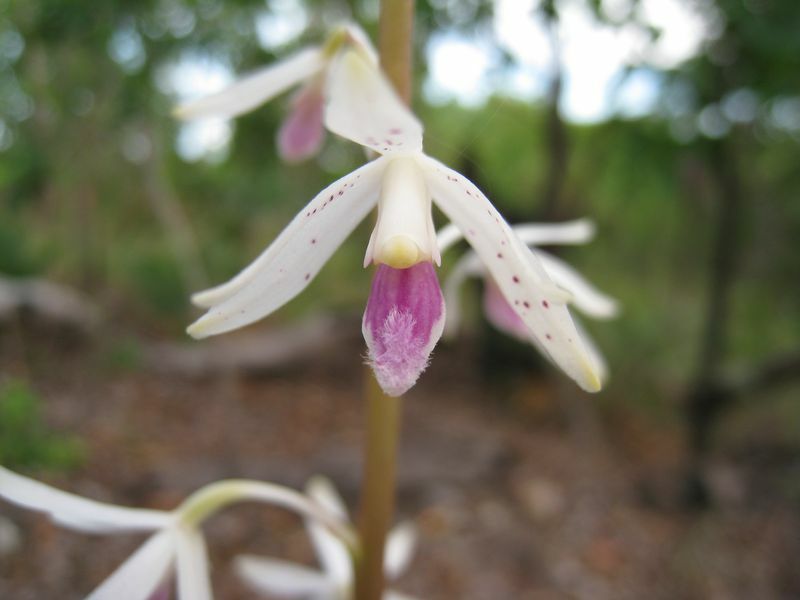 Its flowers, coloured somewhere between white and pink, can be up to 10 cm long, with a special petal called the labellum in the centre of the flower. 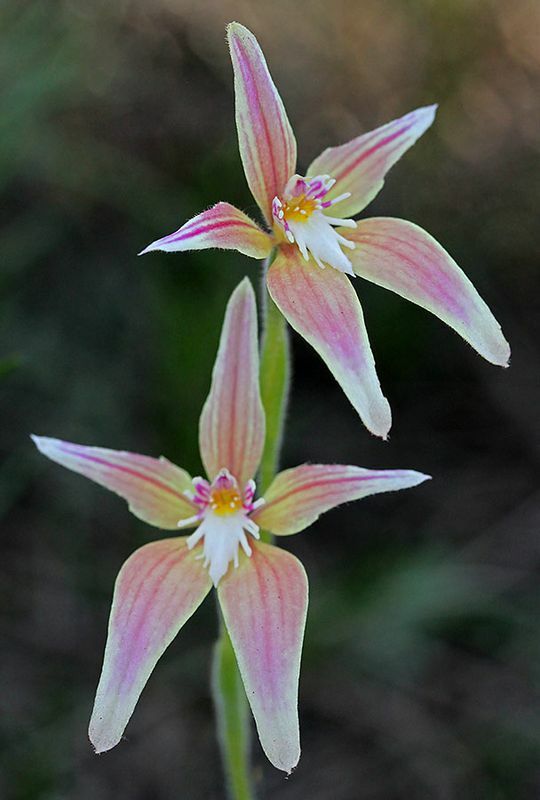 The caladenia is a difficult species to grow and maintain. If you try to remove them from their habitat, they rarely survive more than a few years. Their growth is cyclical, going through periods of activity in the cooler months and dormancy in the warmer months. When they’re growing they should be watered regularly so the soil remains moist. When the plant begins to die back, it’s best to decrease watering to allow the soil to go nearly dry. Spider orchids generally enjoy shade, which makes them ideal house plants. 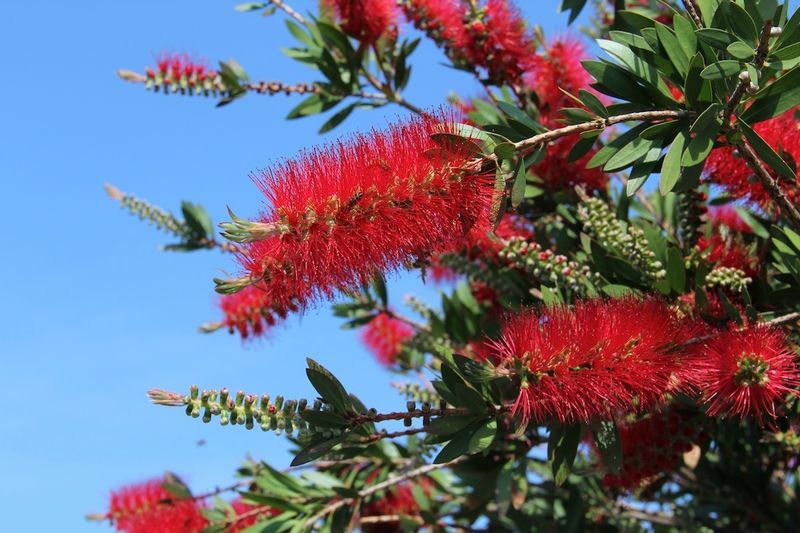 In Australia, the callistemon is commonly known as the bottlebrush, a name derived from the brush shape of its flowers. 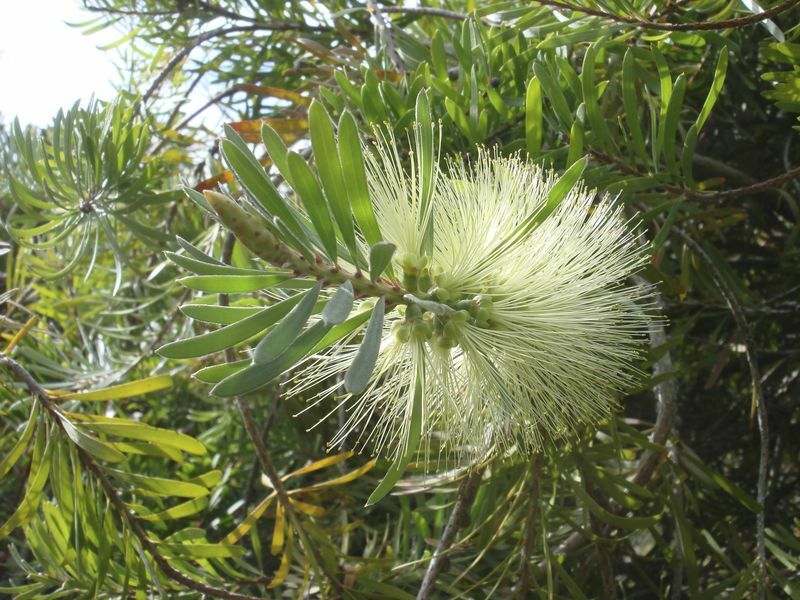 There are some 40 species of callistemon, with all but four endemic to Australia. 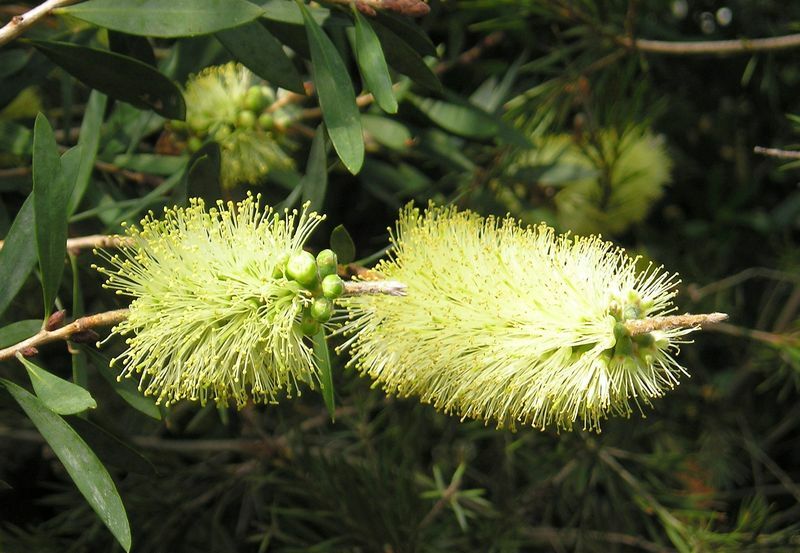 You’ll find the bottlebrush up and down the eastern and south-eastern coast of Australia, with another two species in south-western Western Australia. 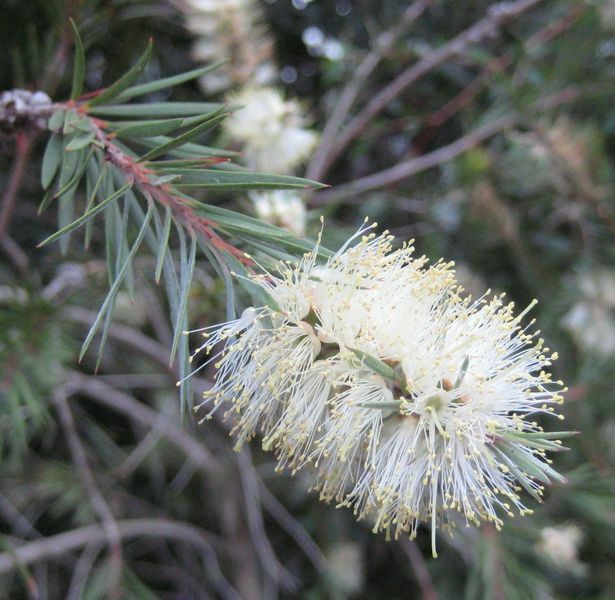 The callistemon favours damp or wet conditions, near creek beds, swamps, or areas prone to flooding. For this reason, they can grow anywhere from Queensland’s tropical north to Victoria’s temperate climes. 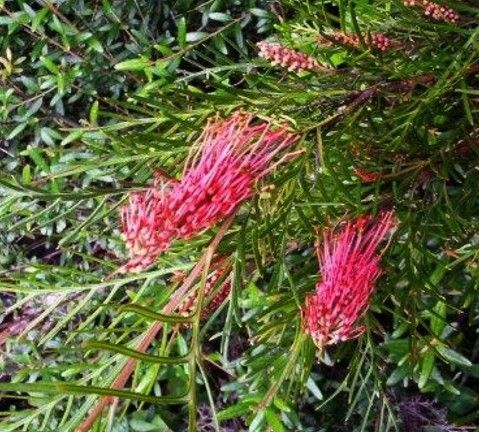 The callistemon grows from 0.5-4 metres tall. It is recognisable from its unusual flower heads, which are made up of loads of individual flowers. 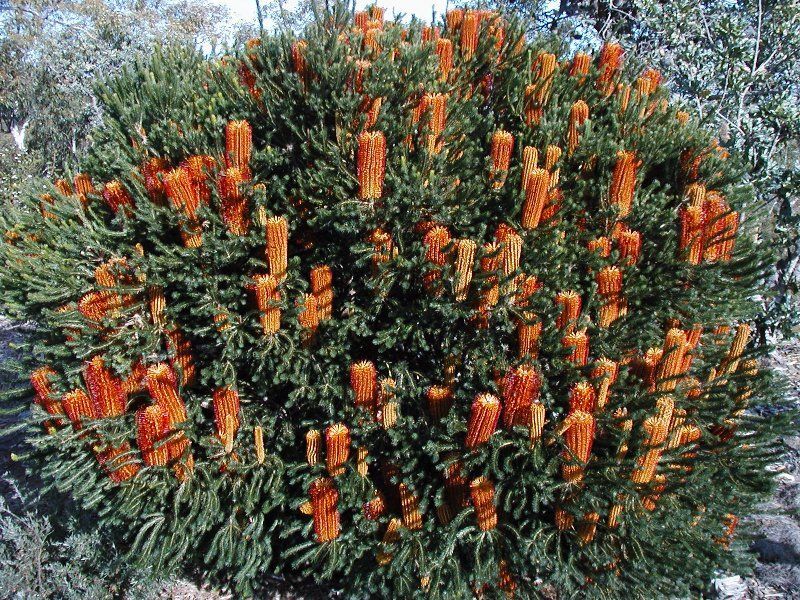 The bottlebrush also has an unusual woody fruit that forms in clusters along the stem and often does not open to release its seeds for years. Most callistemon flower from late spring to early summer. The bottlebrush is a popular garden plant. With its easy cultivation and beautiful appearance, it brightens up any backyard! This is an easy plant to grow from seed. Collect the unopened fruits and store them in a paper bag in a warm place until the seeds are released (usually two to three days). Sow the seeds into well-drained seed-raising mix throughout spring and summer. If you want to cultivate the plant from cuttings, take a cutting about 75-100 mm long and remove the leaves from the lower half to two-thirds. Remove a slither of bark from the lower stem and treat it with a “root promoting” hormone to boost your chance of success. 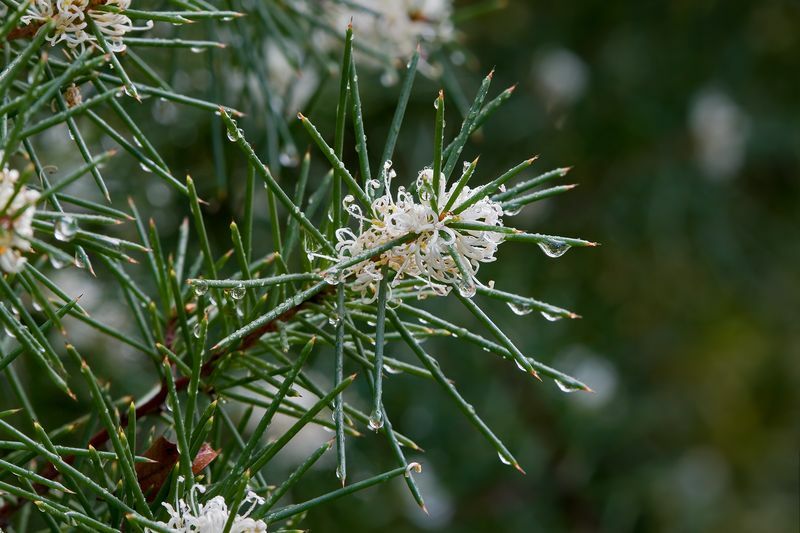 The callistemon is frost-tolerant and low maintenance, growing well in a variety of soil types. Those in a sunny position will bloom better. They only need occasional watering. Keep them in shape by pruning them lightly after they have flowered. 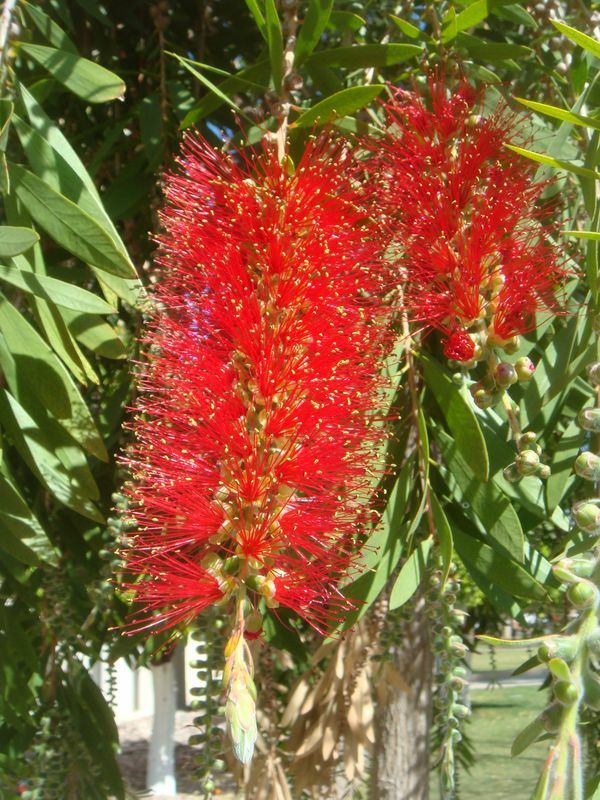 The bottlebrush is a nectar-feeding plant too and is a great way to draw the wildlife into your backyard. Check out the Australian Native Plants Society or the Australian National Botanic Gardens websites for more information on the bottlebrush. 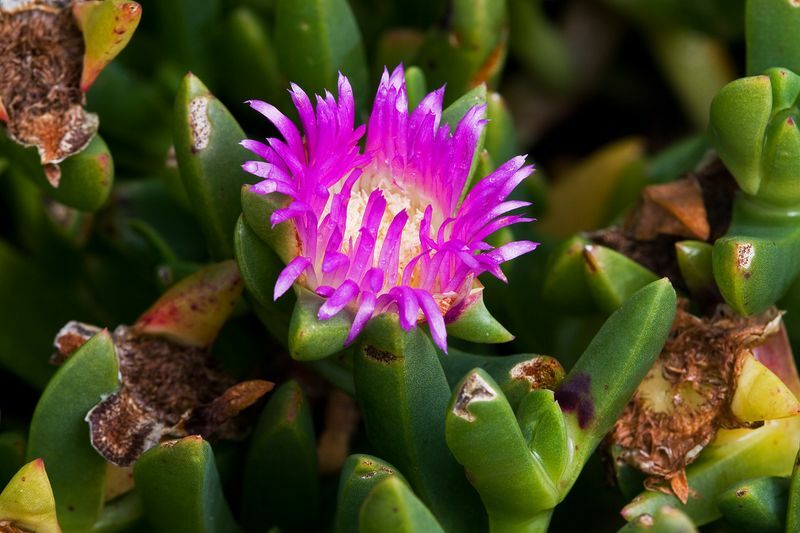 There are four species of pigface in Australia, all of which are commonly found along the coast of southern Australia. If you ever thought pigface was a strange name for a plant, there’s a reason why – the shape of the flower is supposed to resemble a pig’s face. Don’t worry, most people find this image hard to see! 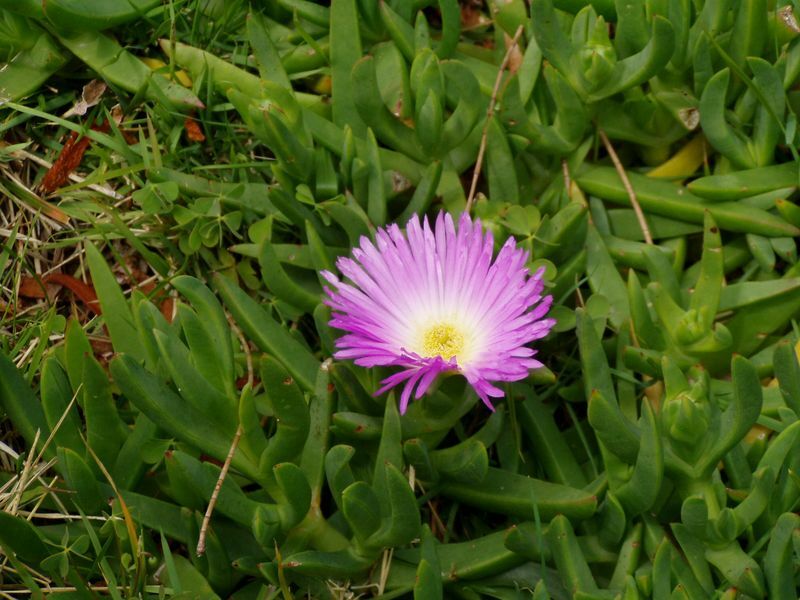 Carpobrotus generally have succulent leaves and daisy-like flowers. 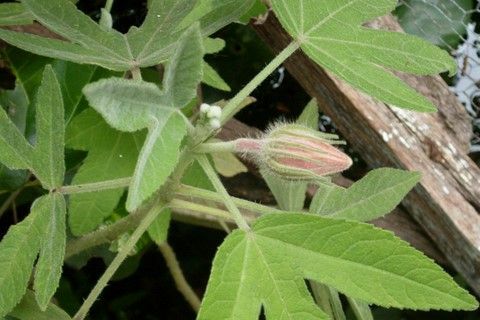 Although flowering occurs mainly from October to January, the plant can flower sporadically throughout the year. 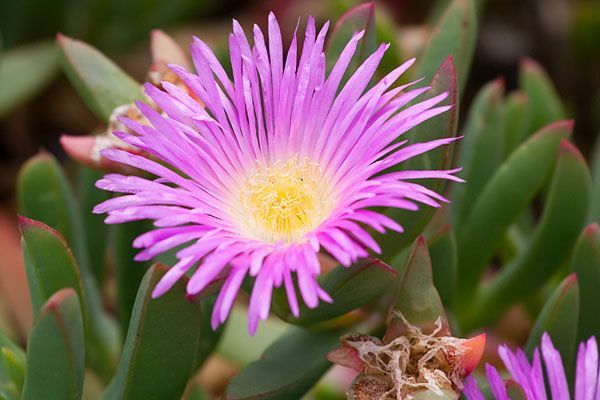 Pigface is a good plant for coastal gardens as it grows well in sandy soil and is tolerant of salt spray. It can be propagated from either seed or cuttings. The most natural method is to mimic the way the plant naturally grows by bending part of a horizontal stem, still attached to the parent plant, into the soil to allow it to root. Plant in an open sunny position – it will also grow in partial shade. 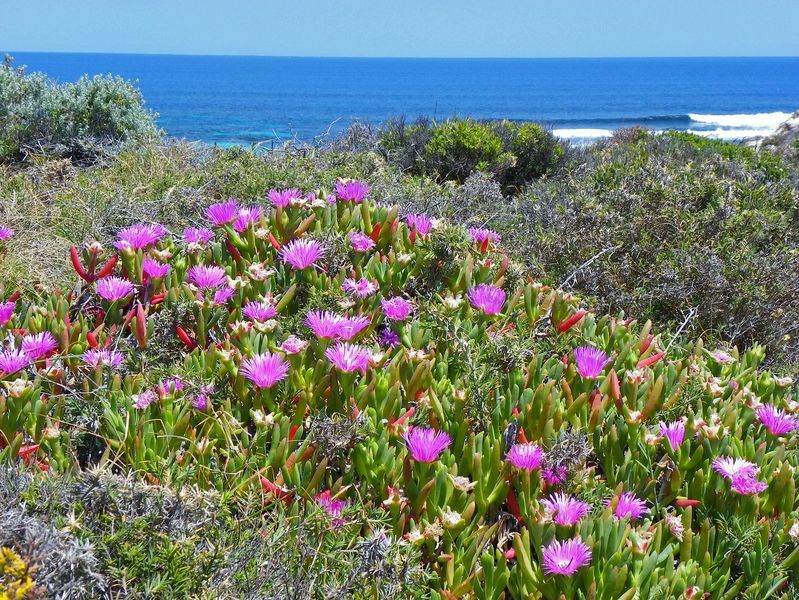 Carpobrotus tolerates dry conditions well and is a very useful plant for loose sandy soil. It will grow well in rockeries and low maintenance gardens. 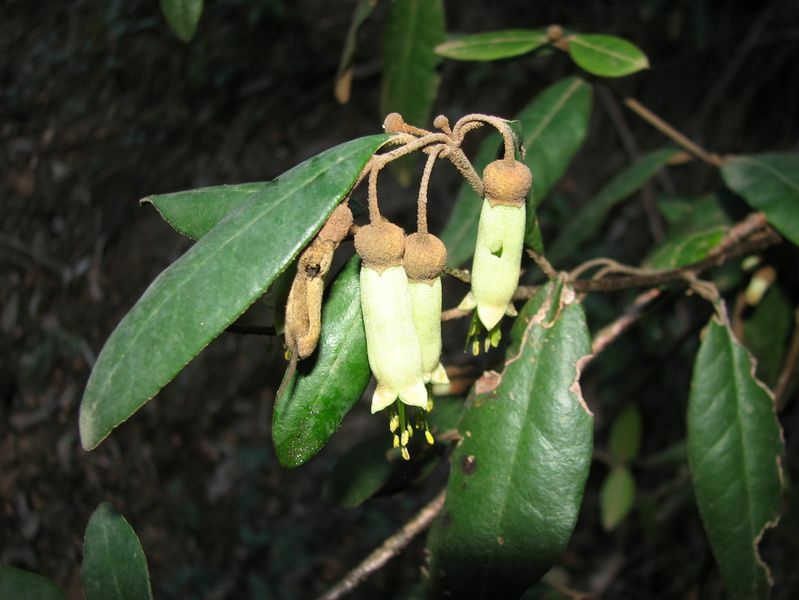 There are 11 species of correa, along with hundreds of cultivars. 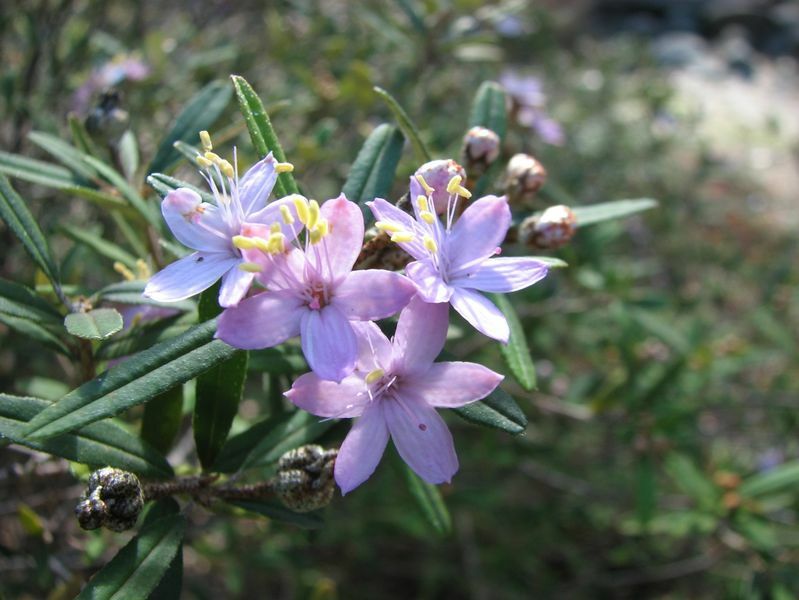 The plant is a popular native in Australia and can be found in virtually all soil types. 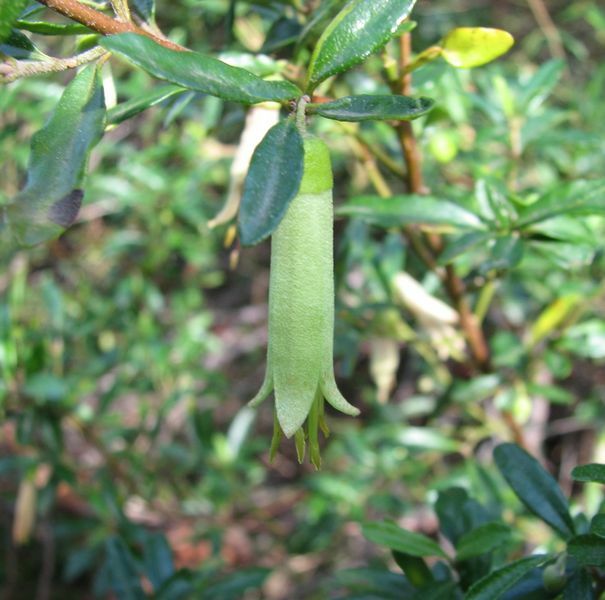 Correa plants typically grow in the southeast of Australia, from South Australia to Tasmania and as far north as southern Queensland. 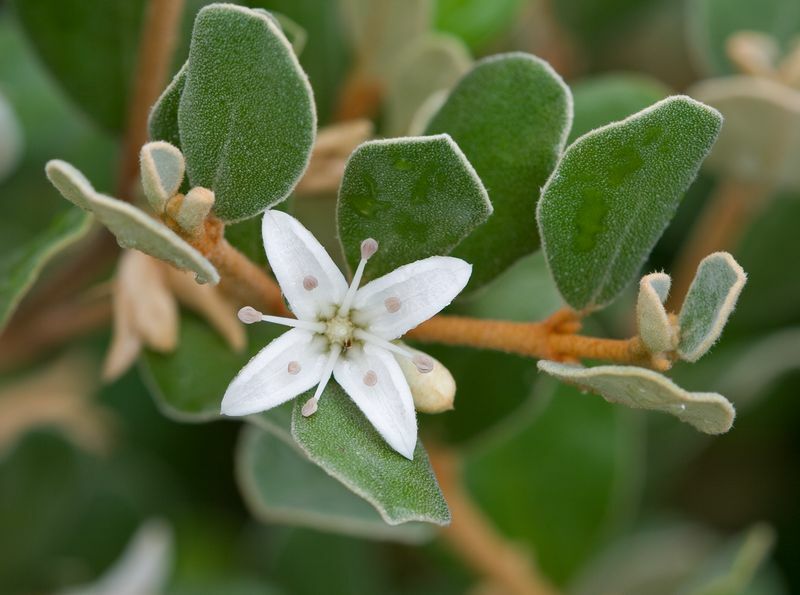 A common species – the correa alba – makes a good coastal plant. 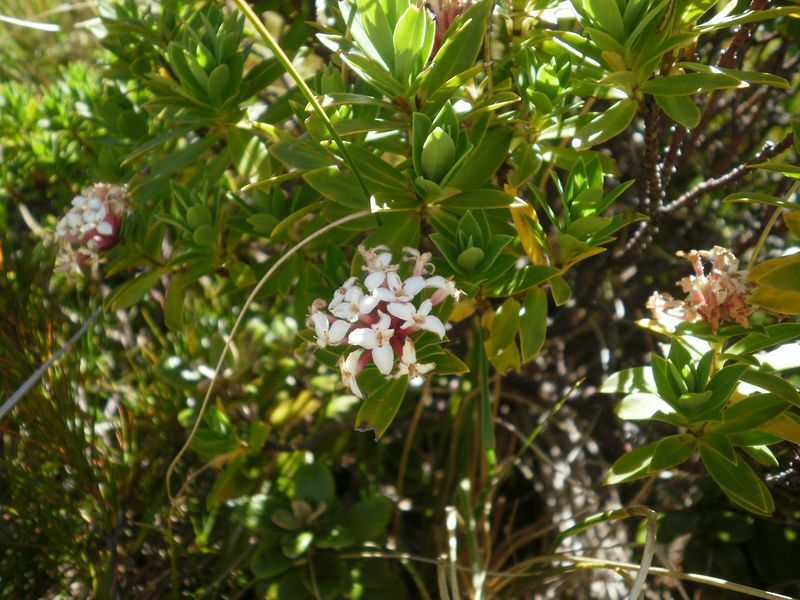 Correa range can grow to up to two metre high shrubs. 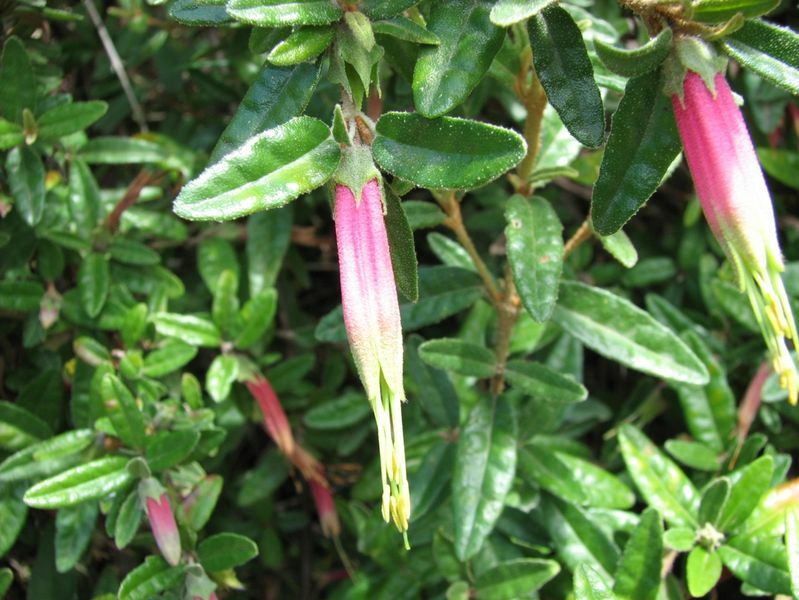 Depending on their species, correa have either bell-shaped or fuschia-like flowers that can be anything from pale pink to red-yellow. Aussies love a good native hybrid and you'll often find correa hybrids in Australian backyards. 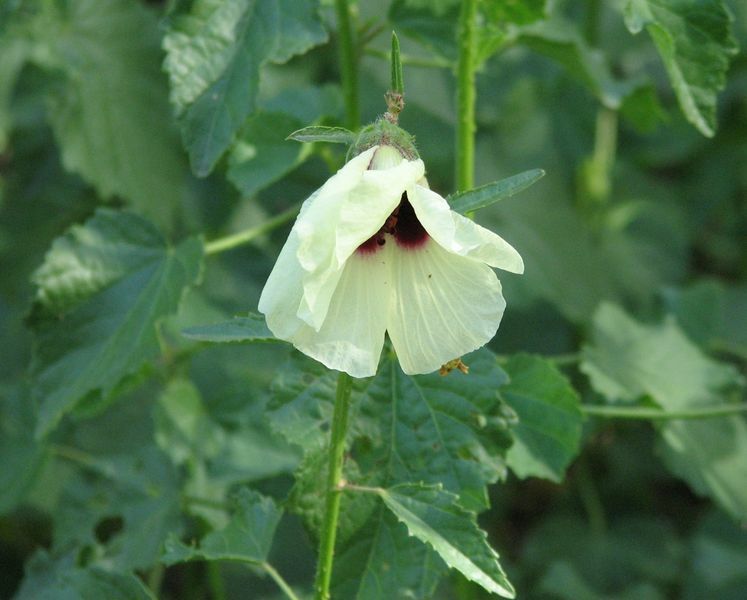 It is a strong species of plants, standing up against pests and diseases and producing many flowers. 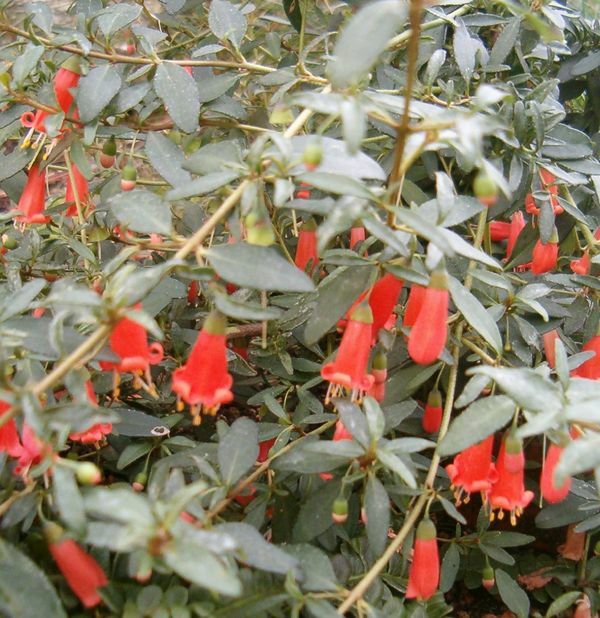 These plants grow well in any type of soil and unlike your standard sun-shy fuchsia, will grow in shade or full sun. In fact, they often flower more heavily in the sun. The flowering period is generally from May to November. It is a good plant for the garden and can be propagated from soft tip cuttings. It benefits from rich composted soil and regular deep watering during the growing season. The correa alba makes a great hedge plant as it can be easily clipped to shape. It is also an ideal container plant for your verandah. 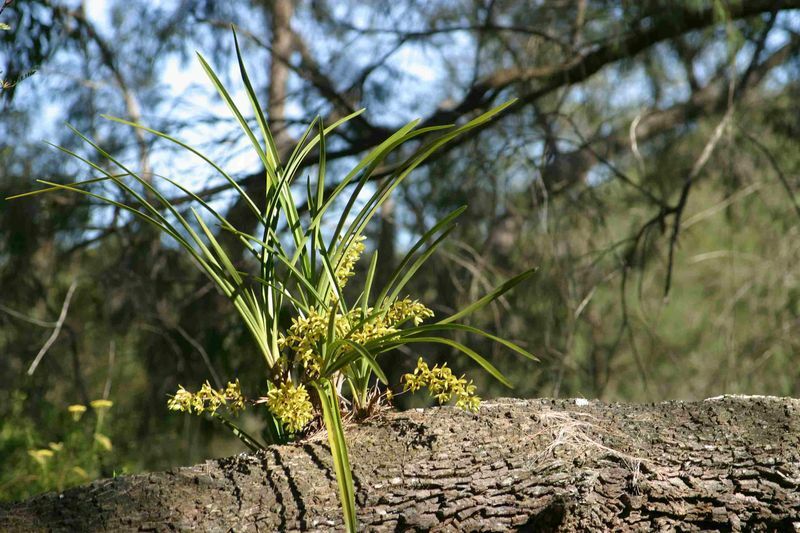 There are some 52 species of this evergreen orchid, which you can find naturally in areas of northern Australia. The boat orchid can grow to about 60 cm. 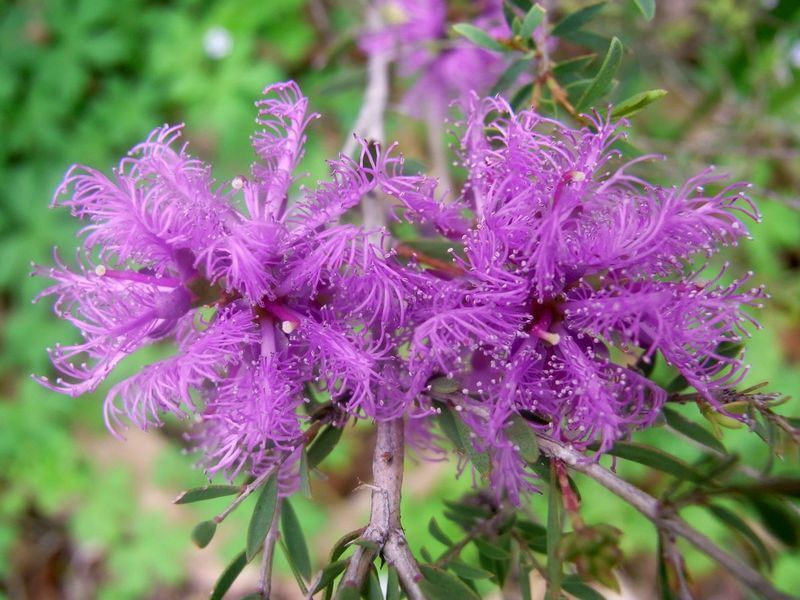 It has waxy flowers with a diameter of 5-10 cm and a huge range of colours. 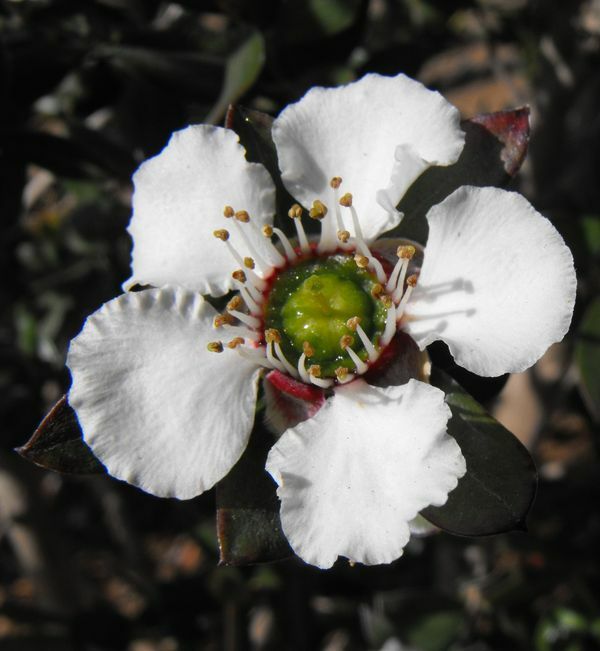 The plant blooms during winter and can produce a stunning 15 flowers or more at one time. If you’re a beginner orchid grower, a cymbidium is a good orchid to go for. 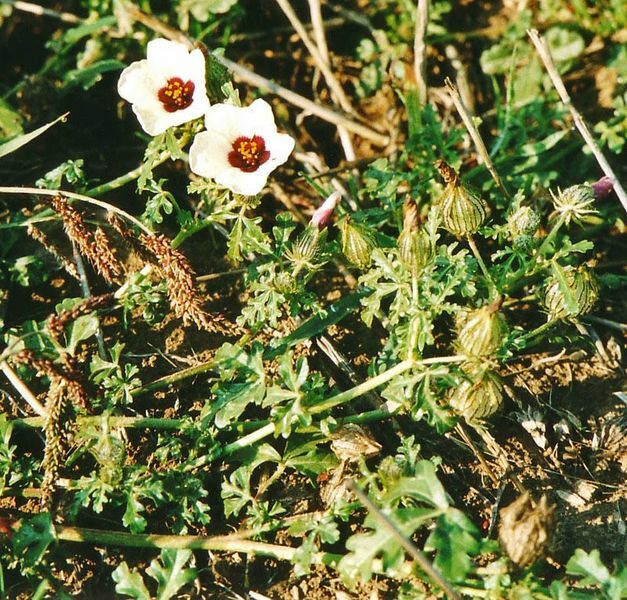 It’s a hardy, drought-tolerant plant that can be pretty hard to kill. Of course, that doesn’t mean you can neglect them entirely! Cymbidium are sun-lovers, so make sure they’re in partially shaded location where they can enjoy the morning sun. These plants are ideal as a feature in your garden, whether that’s in a rockery or a hanging basket. 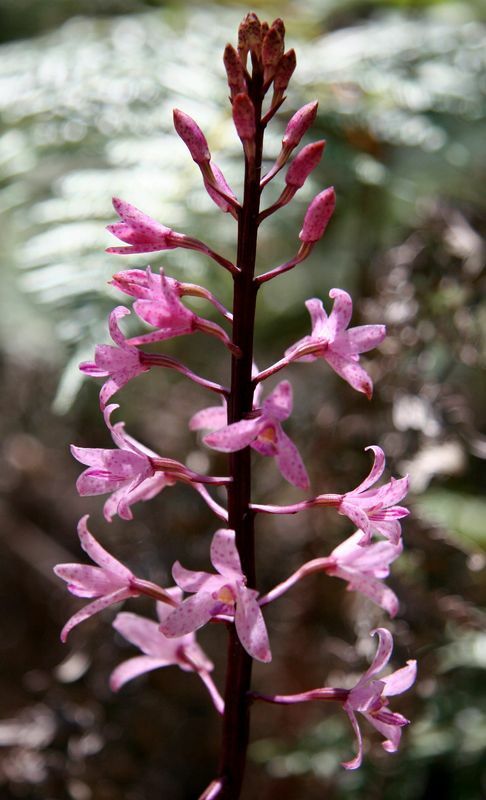 Dipodium is a native Australian orchid with some 25 known species. 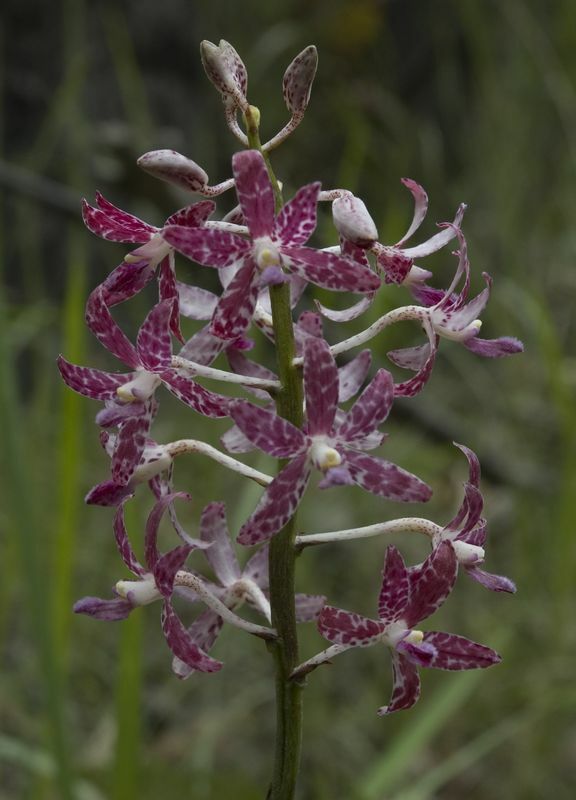 You can find varieties of dipodium – commonly called hyacinth orchid – across Australia, from the Northern Territory to Tasmania. The hyacinth orchid thrives in cool to temperate climates, which makes it an ideal plant for cooler areas across southern Australia. 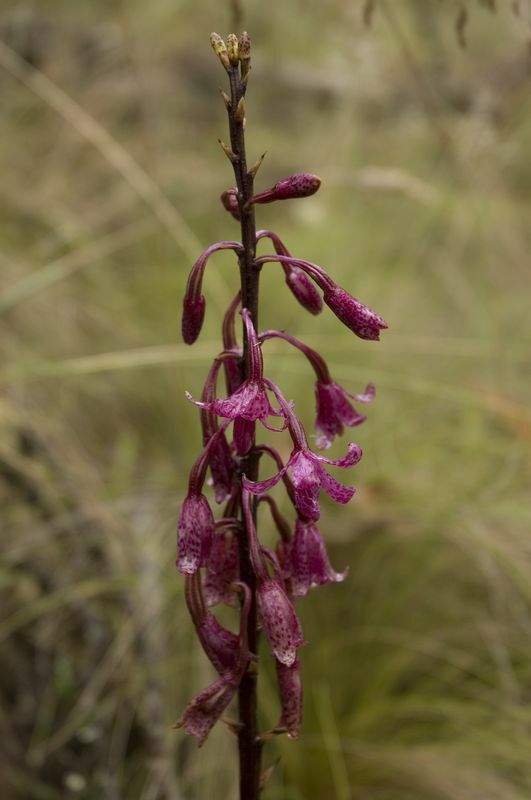 The dipodium is commonly a fairly large ground orchid that can grow to around 40 cm high. It has pink-hued flowers that blossom between December and April. 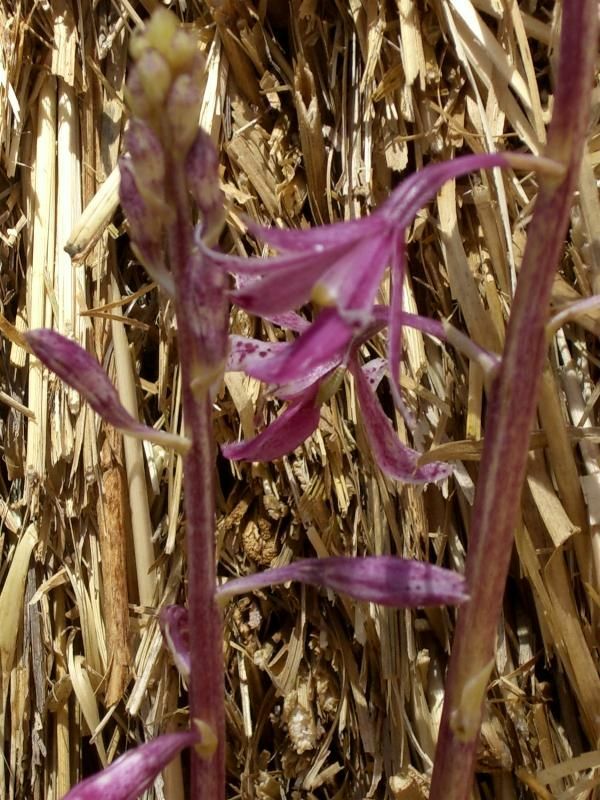 The hyacinth orchid needs a shady position, especially for those hot summer months. If you want to give this plant a go, make sure you plant it in special orchid mixture that is rich in humus and has good drainage. 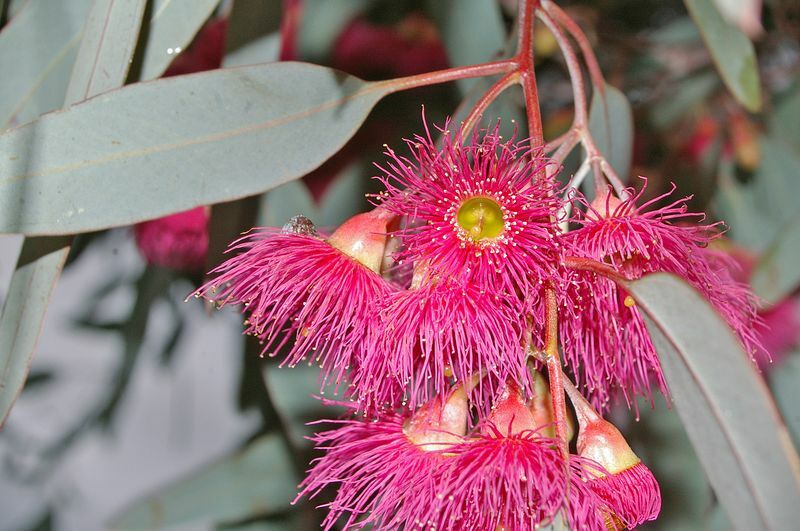 It grows best in wet eucalypt forest or in a mountain garden. 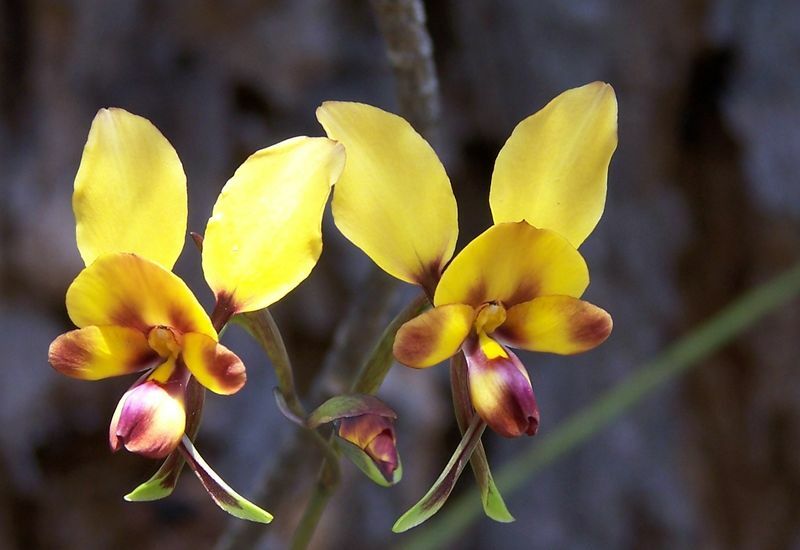 The diuris grows across southern Australia and can even reach Queensland. 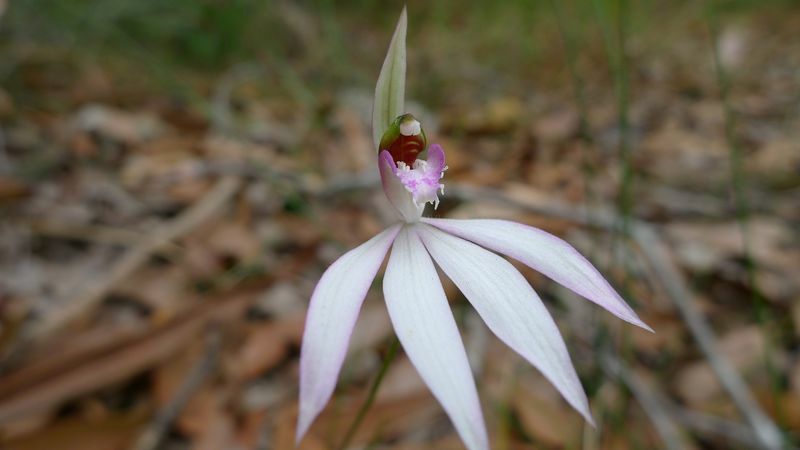 Commonly known as the donkey orchid, it is one of the most recognised orchid species in Western Australia. 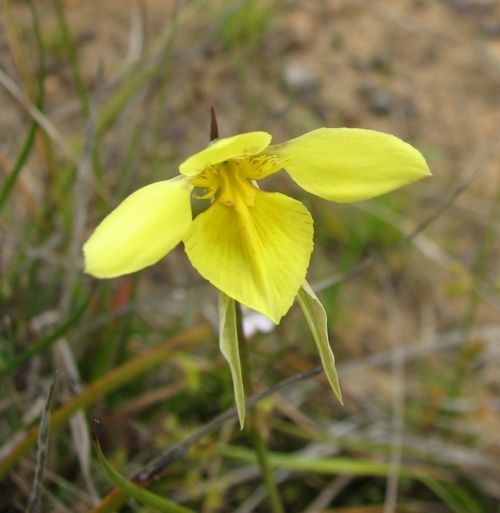 There are 30 reported species of diuris in WA alone. 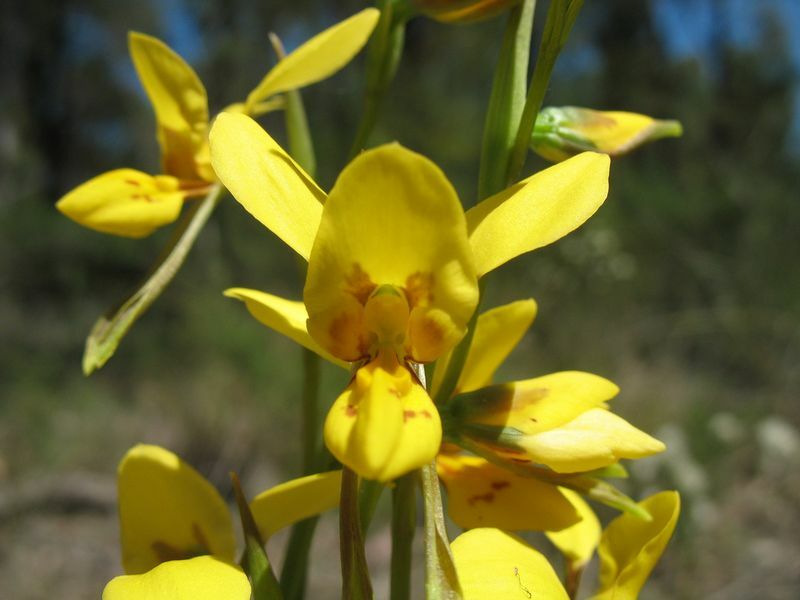 This native orchid is able to inhabit a variety of environments, making it widespread across the whole of south-western Western Australia. It has a distinctive bright yellow flower that can vary from 1-6 cm in diameter. 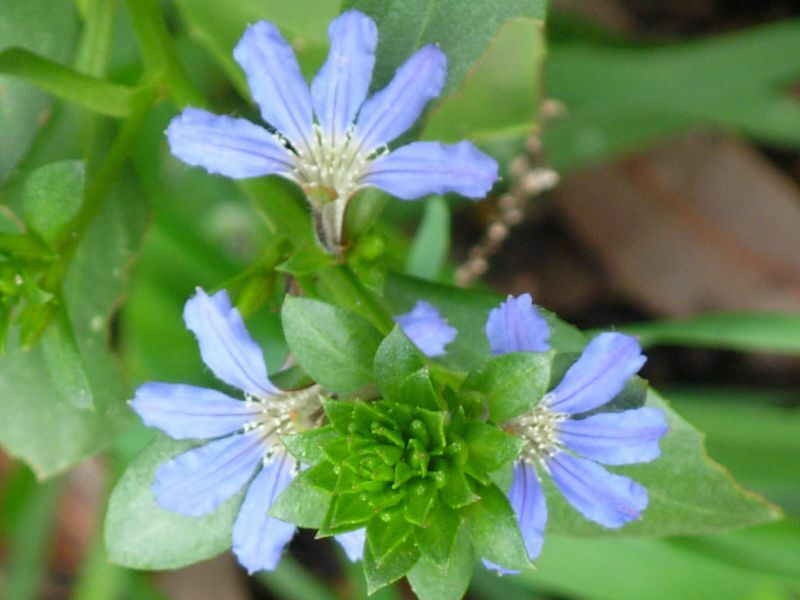 These flowers can bloom from late June up to January. 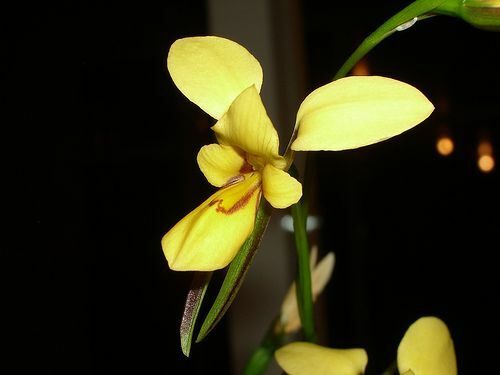 As with other orchids such as the boat orchid, the diuris can be a good orchid to start growing. You can plant it in freely draining mixture in a place where it will receive filtered light. This makes a great pot plant you can place as a feature on your verandah when it’s blooming, and then move to the sun in winter. Doryanthes is a Sydney native that gives the world some of its tallest flowers. This plant has just two species: the Gymea Lily (doryanthes excelsa) and the Giant Spear Lily (doryanthes palmeri). 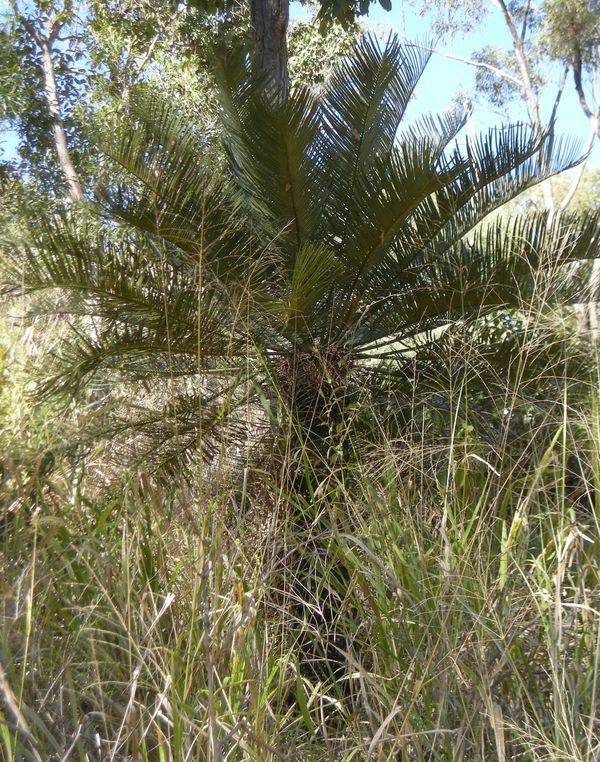 Although its native habitat is limited to southern Sydney and coastal New South Wales, doryanthes grow well in most coastal cities, including Brisbane and Perth. Both the Gymea Lily and the Giant Spear Lily produce sword-like leaves that are over a metre long. 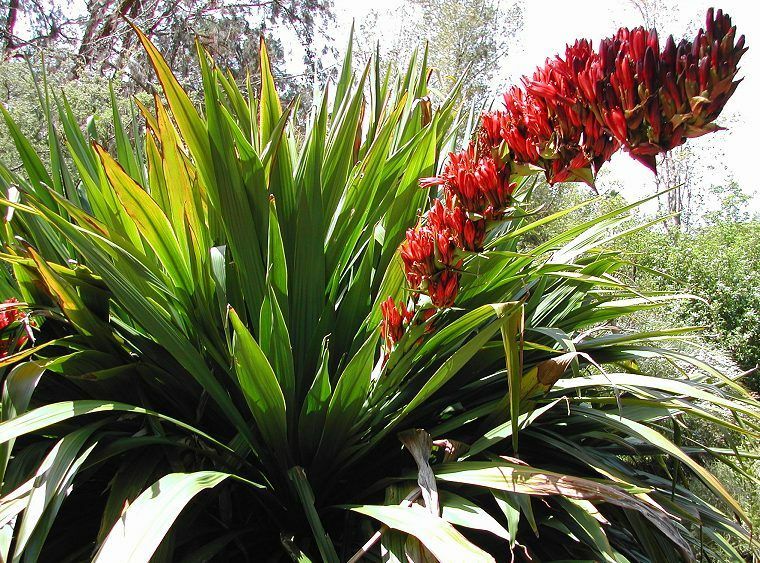 They have flower spikes that reach up to six metres high, with clusters of bright red flowers on top. The plants don’t typically flower until they are between six and ten years old. 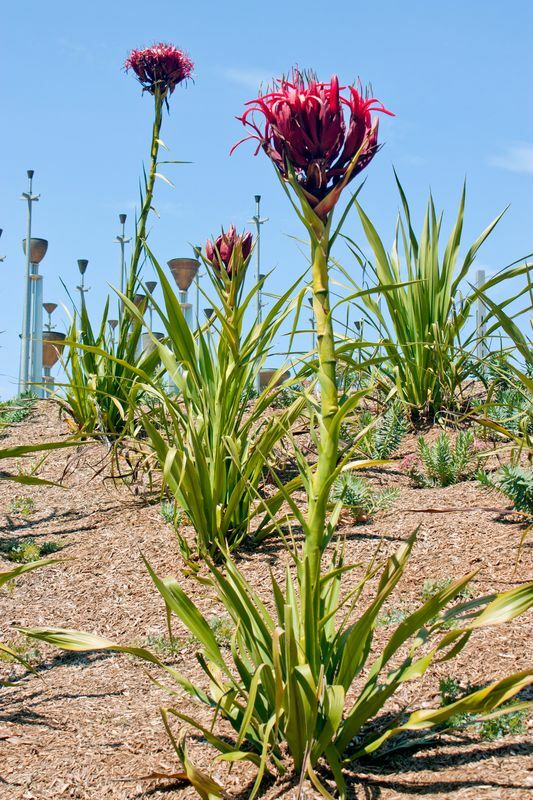 The doryanthes is a highly adaptable plant that means it grows well in most of Australia’s capital cities. It is a hardy plant that can be grown from seed, but don’t expect to see flowers until it’s about eight years old. 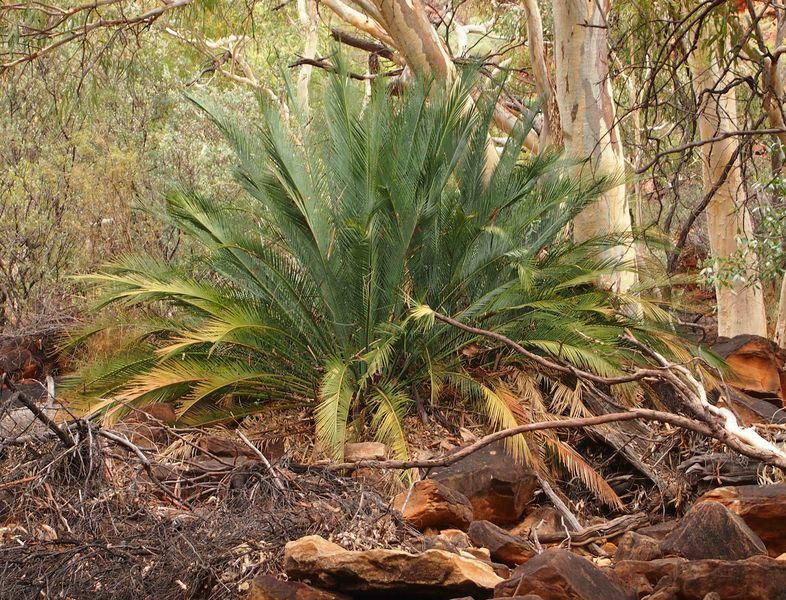 Unlike many Australian natives, the doryanthes doesn’t mind being dug up and transplanted. It just needs good, well-drained soil and a sunny position. It resists drought and bushfires. Given its size and bold look, the doryanthes looks spectacular as a feature in large, landscaped gardens. You can even grow it in large pots on your deck. Its stunning red flowers attract plenty of native wildlife. 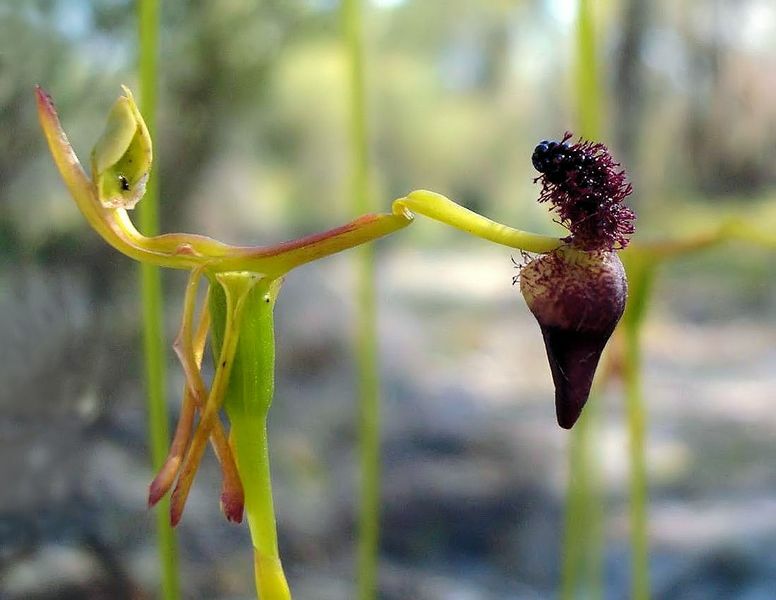 There are only ten species of drakaea – more commonly known as hammer orchids – and all of them occur in one single area: south-western Western Australia between Esperance and Geraldton. 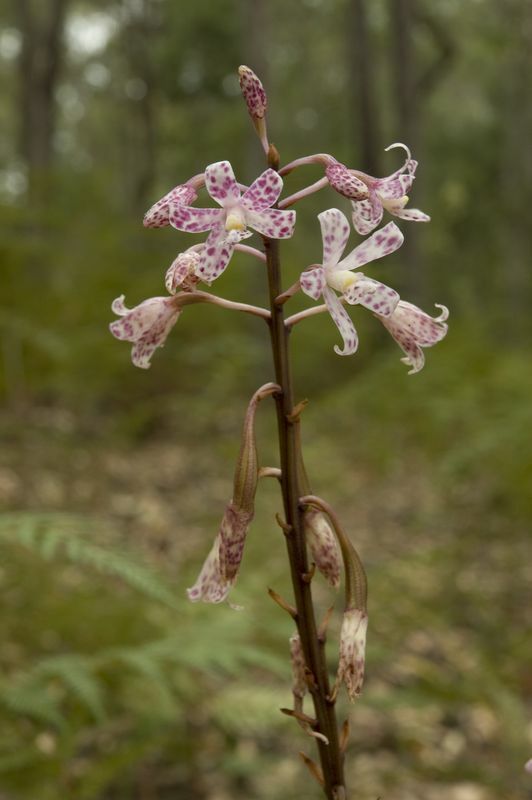 The hammer orchid enjoys sandy soil. It usually grows in scattered colonies. 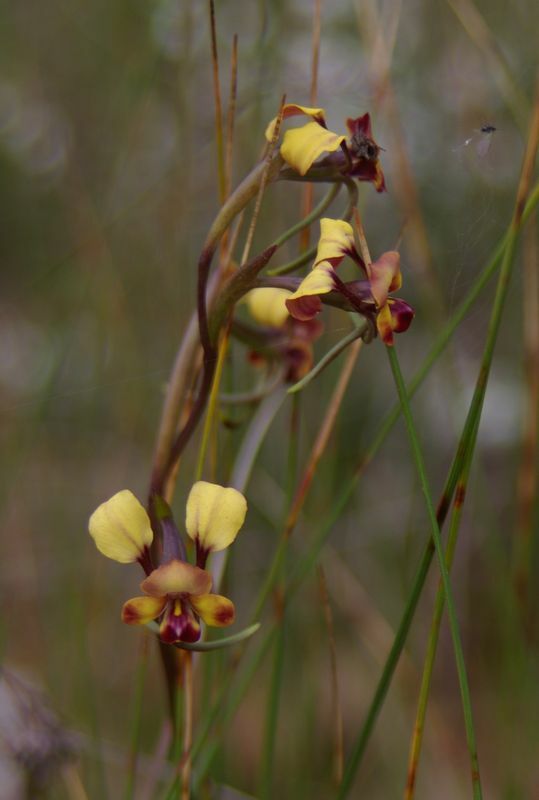 Sadly, the Western Australian government has classified five of the drakaea species as threatened. 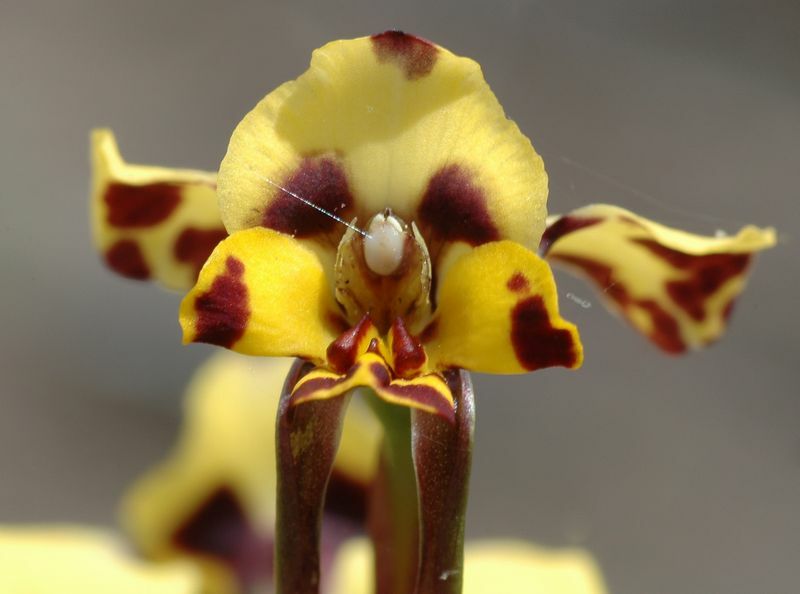 The hammer orchid is pollinated by males of a particular wasp species. 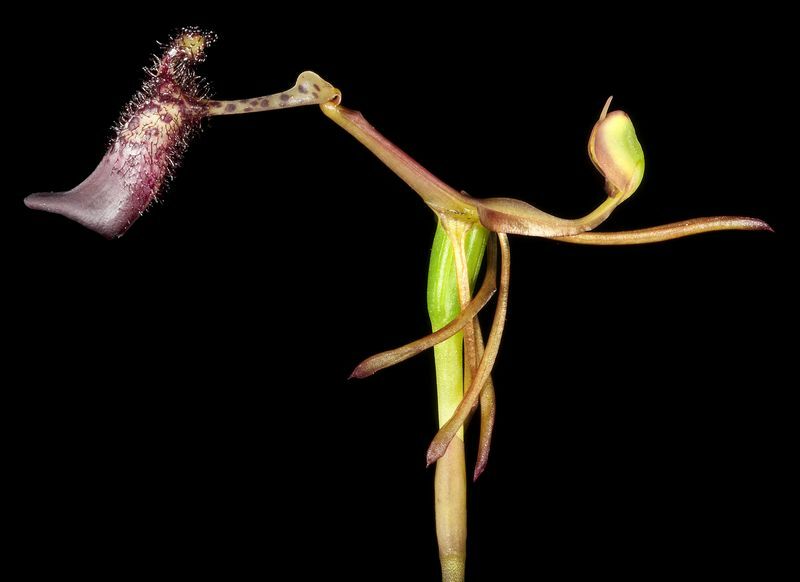 Take a close look at the hammer orchid and you’ll notice that the labellum in the flower resembles a female thynnid wasp and mimics the pheromone a female wasp produces. 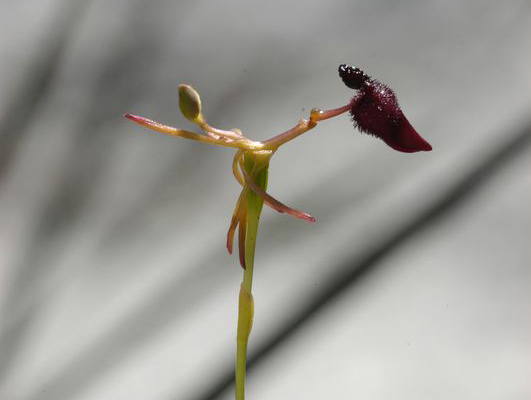 Aside from the unique flower, the drakaea has a single narrow, ground-hugging leaf and a long, wiry stem. 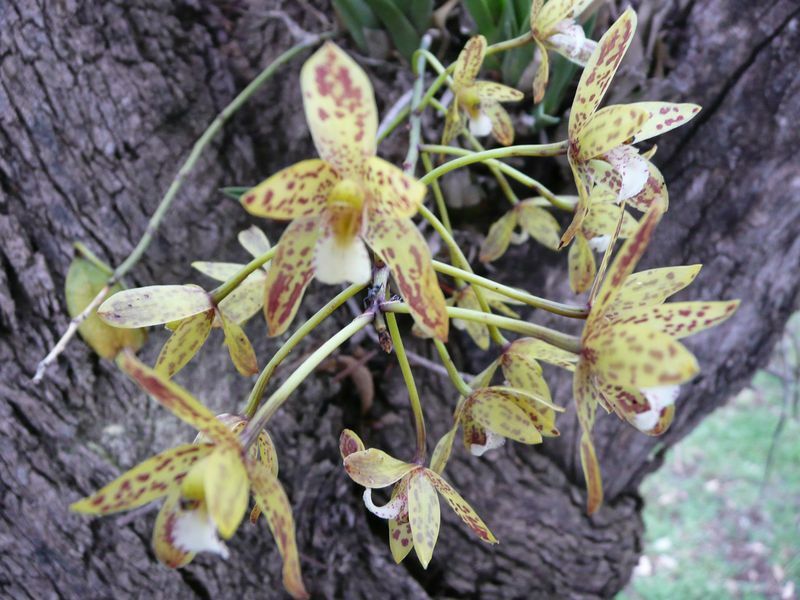 The hammer orchid is a demanding plant that requires strict conditions to germinate and grow. Seed germination requires a particular fungus to grow, which means that only a fraction of the huge amounts of seeds released from one capsule grow to mature plants. For this reason, few people attempt it in their backyard! 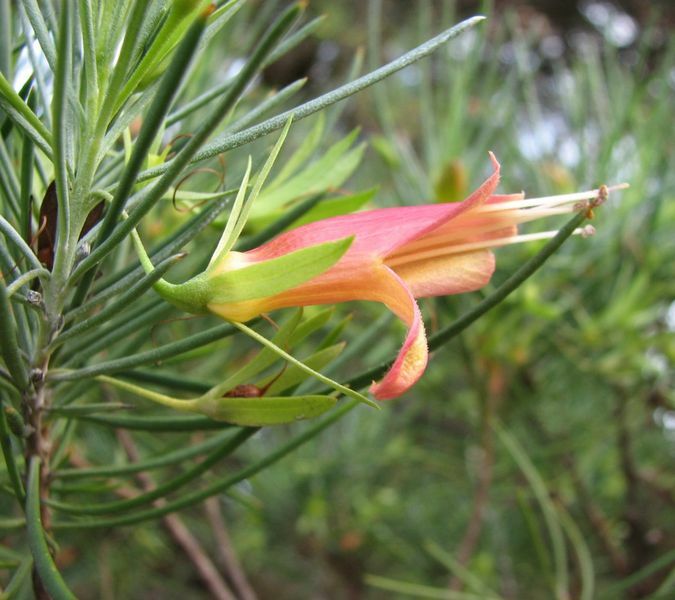 There are some 214 species of eremophila, more commonly known as emu bushes. Yet all these species are found exclusively in Australia. 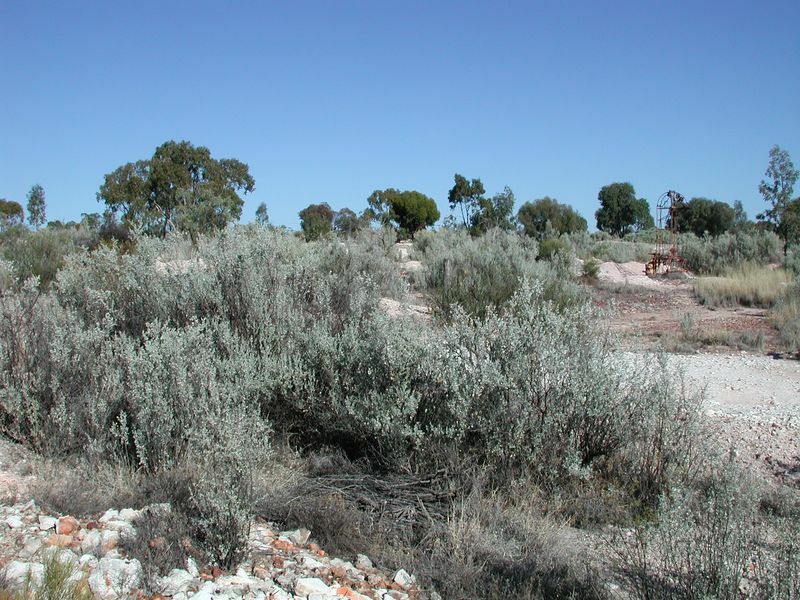 Emu bushes enjoy semi-arid or arid areas, particularly in Western Australia. 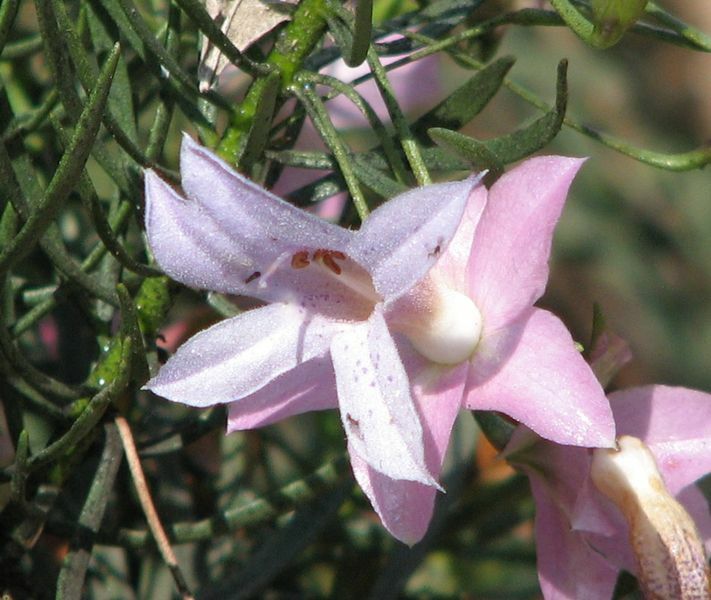 There are no native eremophila in Tasmania. 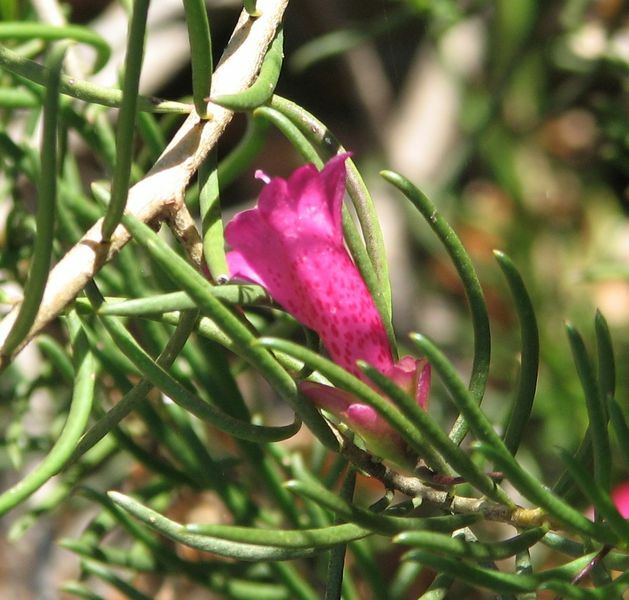 Eremophila can grow to be low-growing shrubs or small trees with small, hairy or shiny leaves. 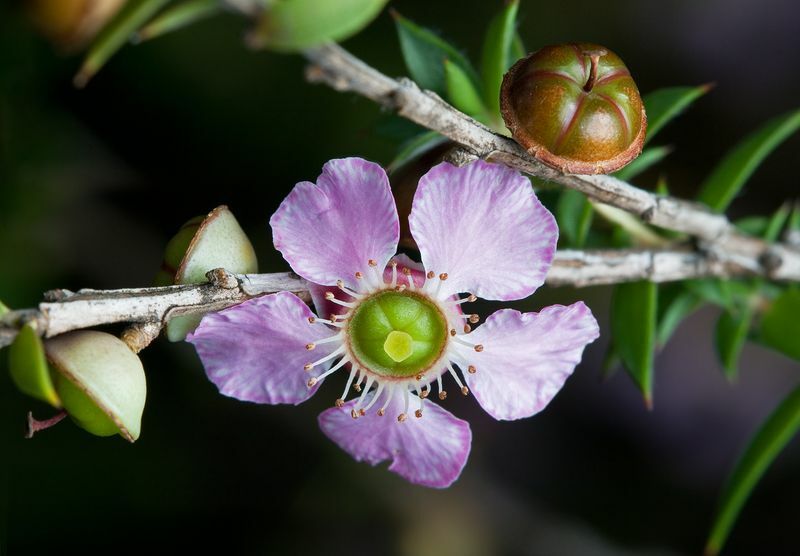 They produce unusual double-layered flowers and fruit that many wildlife eat. But watch out; some species have leaves toxic to stock animals. 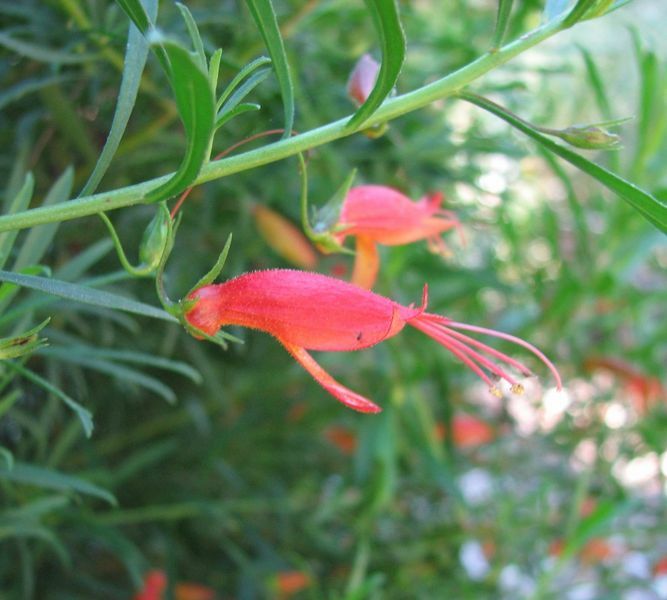 Eremophila are not easy to propagate from seeds, but they can be grown from cuttings. Though emu bushes prefer drier environments, they do adapt to a range of soil types. They need well-drained soil and plenty of light. They are drought-tolerant plants. They can also be fire-tolerant and flood-tolerant and can grow even in grazing environments. 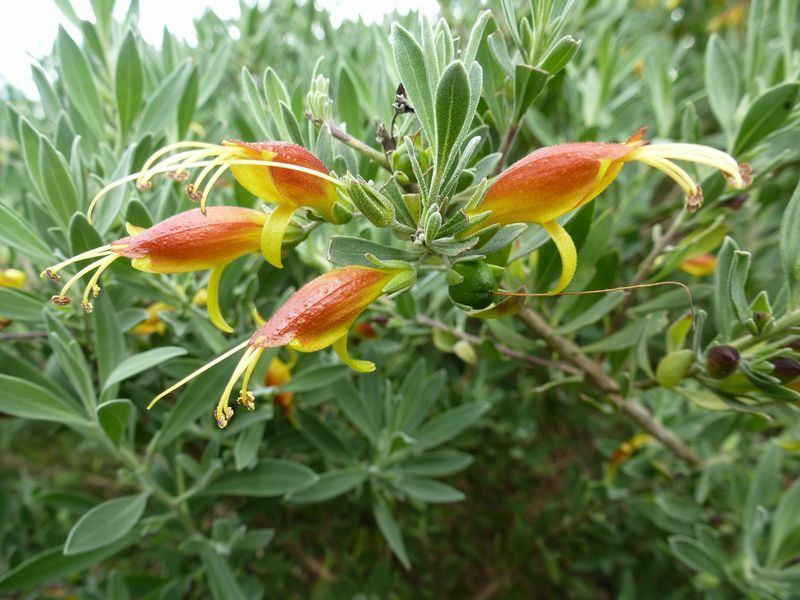 For a comprehensive look at eremophila, check out this WA government fact sheet. There are just two species of eriostemon, both of which are native to eastern Australia. 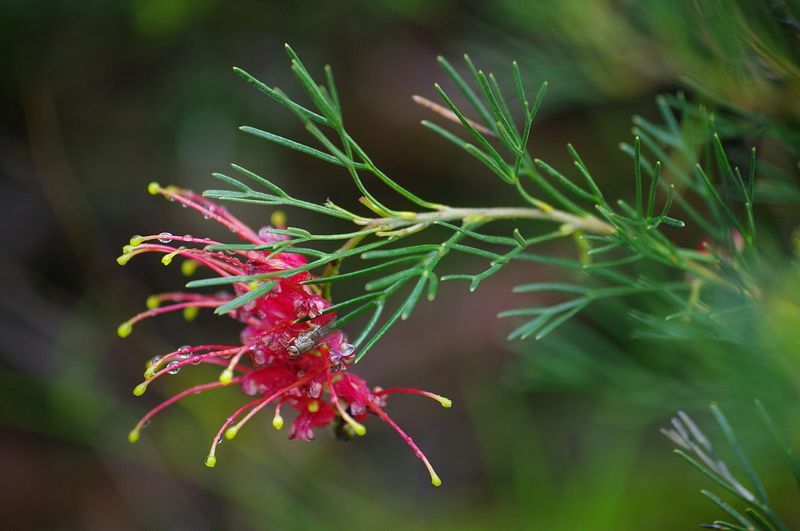 The eriostemon australasius grows best along the New South Wales and Queensland coastal regions and is found naturally in the heathlands and woodlands between Fraser Island and Nowra. 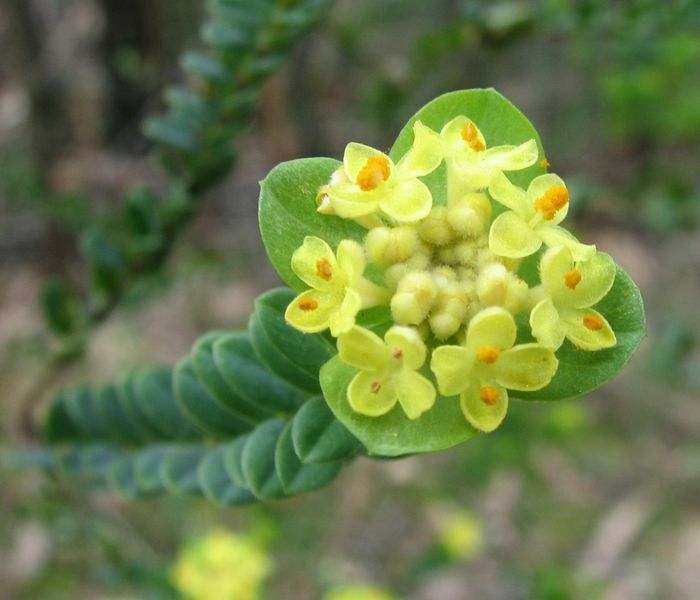 The eriostemon banksii can be found in the Cape York Peninsula. Eriostemon are small shrubs of usually no more than one metre in height, although occasionally they can grow to two metres. 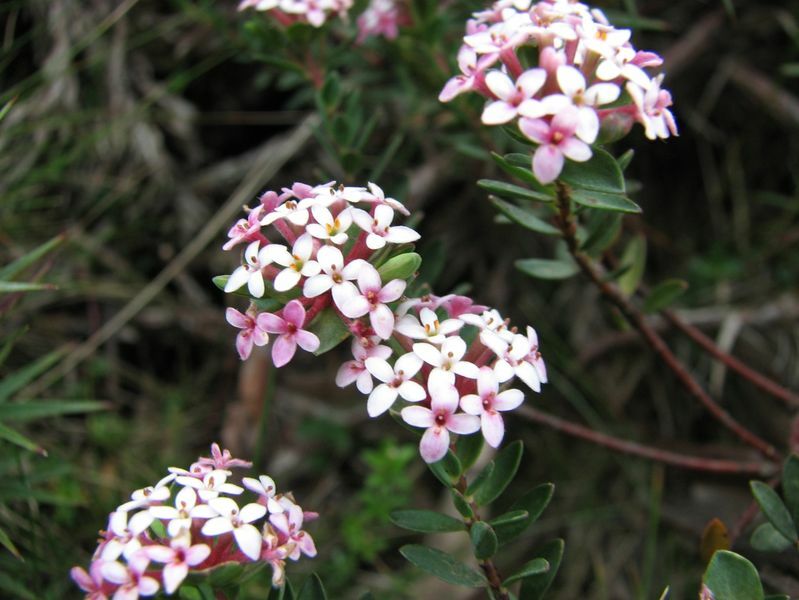 They produce abundant spectacular pink or white flowers in mid-winter to spring. Only the eriostemon australasius is cultivated in Aussie gardens. It is hardy and drought tolerant. But it's a difficult plant to propagate from seed and cuttings. It is best to buy the plant in seedling form. 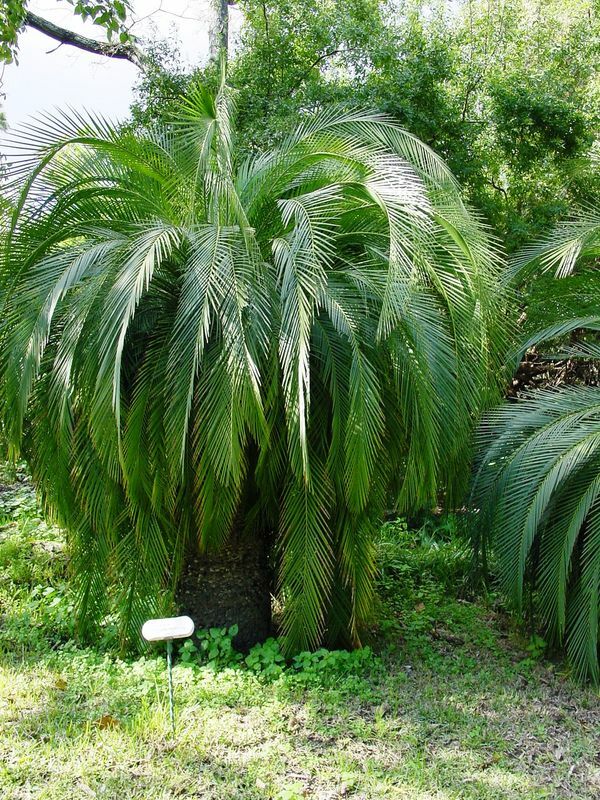 The eriostemon australasius prefers well drained soil in a semi-shaded position and can tolerate light frosts. Don't let the soil dry out for extended periods. 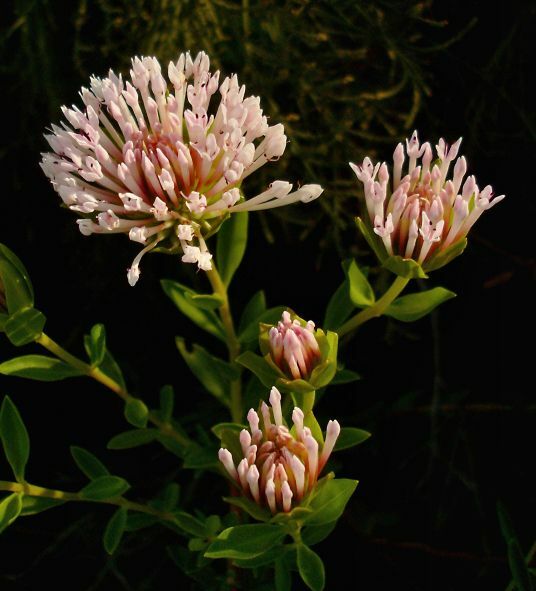 With scented foliage, this plant is popular in garden beds and in pots on your porch. 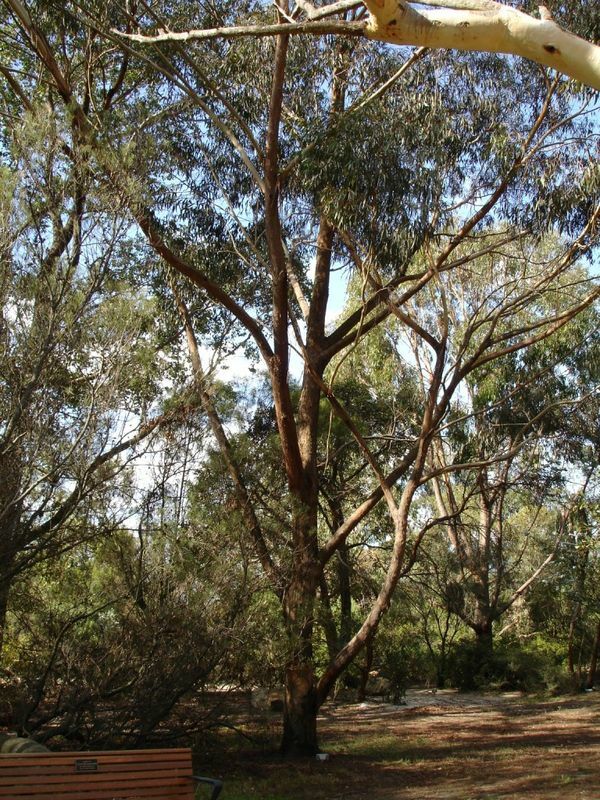 Gum trees are Aussie icons and are a vital part of the Australian natural environment. The only major environment where eucalyptus are absent is rainforest. Only about 12 species occur naturally outside Australia - some 700 species are native to this country. 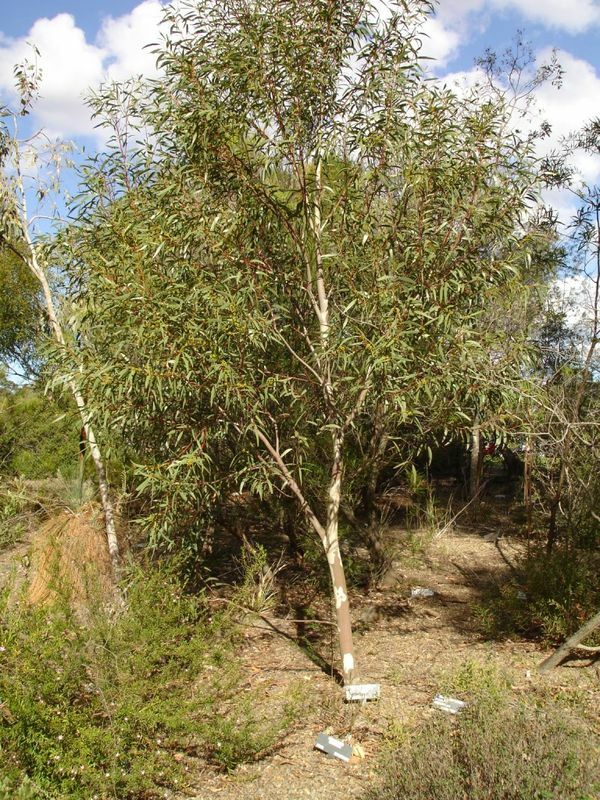 Mature eucalyptus can be low shrubs or giant trees. Most are evergreen, though some tropical species lose their leaves at the end of the dry season. 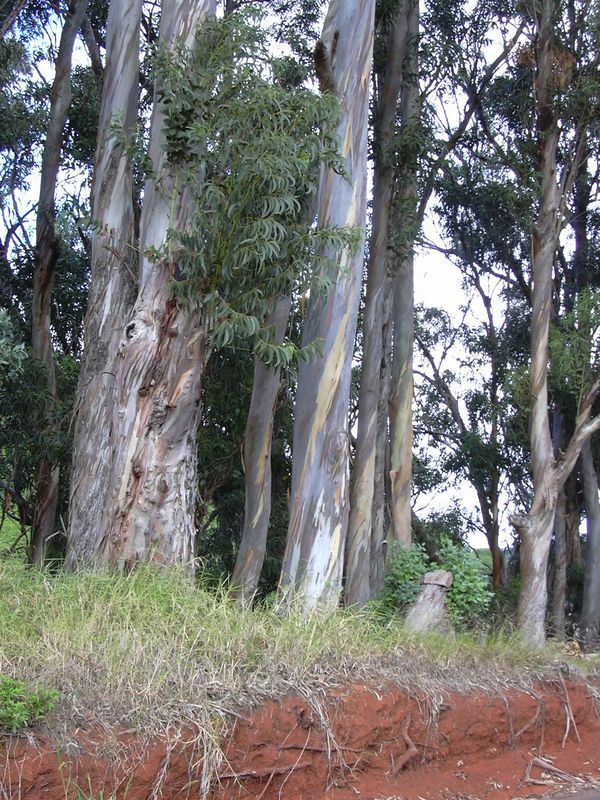 These trees are renowned for the eucalyptus oil that comes off their leaves. 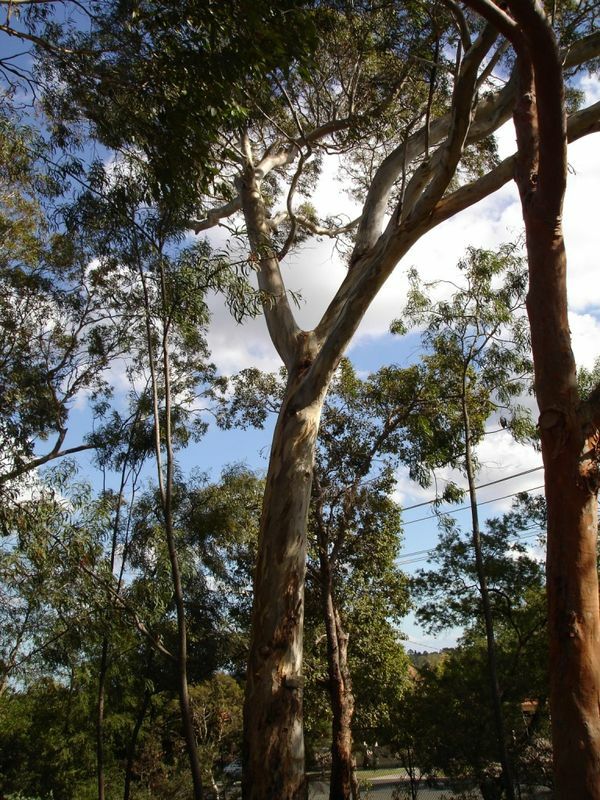 Eucalyptus serve as shelter for many species of native Australian animals and birds. Eucalyptus trees are difficult to grow from seeds. For many species the seeds need to be chilled before germination can take place. Growing from cuttings can be even more difficult. The safest bet is to buy seedlings from your local nursery. 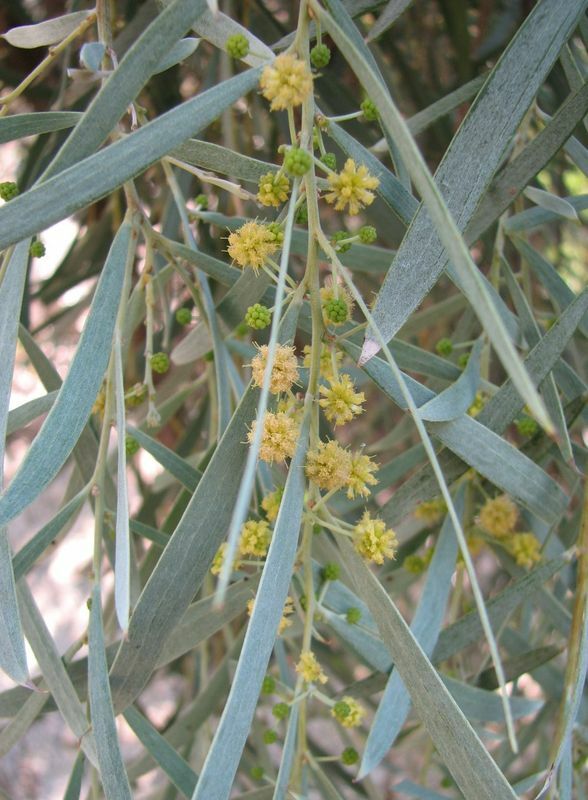 Most eucalyptus require full sun. Plant in late spring or autumn in well-draining soil and water well after planting. Eucalyptus will shed leaves, bark and sometimes branches in summer and autumn so keep them well away from your rooftops and drains. 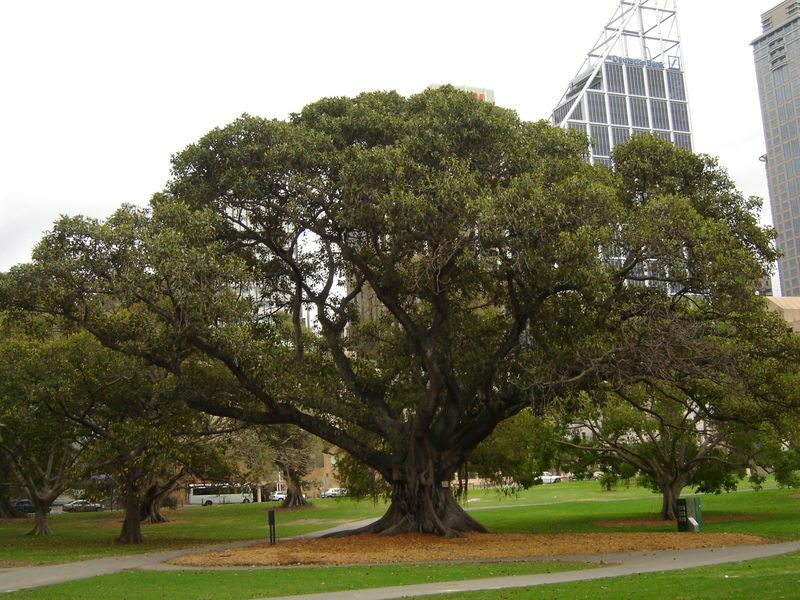 Of some 750 species of fig trees, about 45 are native to Australia. Since fig trees have aerial roots that absorb nutrients and moisture from the air, they grow best in tropical, humid areas. Fig trees can grow large, with bushy foliage. They have a flower enclosed inside their fruit. Even better, their fruit is a common food source for native wildlife, so you’ll attract the birds to your yard. Fig trees grow well in soil depleted of nutrients. They grow best with slow-release fertiliser and regular watering. They can be propagated from fresh seeds. Some species can grow from cuttings. Fig trees enjoy medium to bright light. Give them plenty of space! Native figs grow huge and hog a lot of space – above ground and underground – in your backyard. Large species should be limited to parks, farms and huge gardens. Their roots can be invasive and can disrupt water pipes and building foundations. Fig trees can, however, be kept in pot plants for years before they grow too large. There are 340 species of grevilleas you’ll be able to find in our rainforests and open habitats. 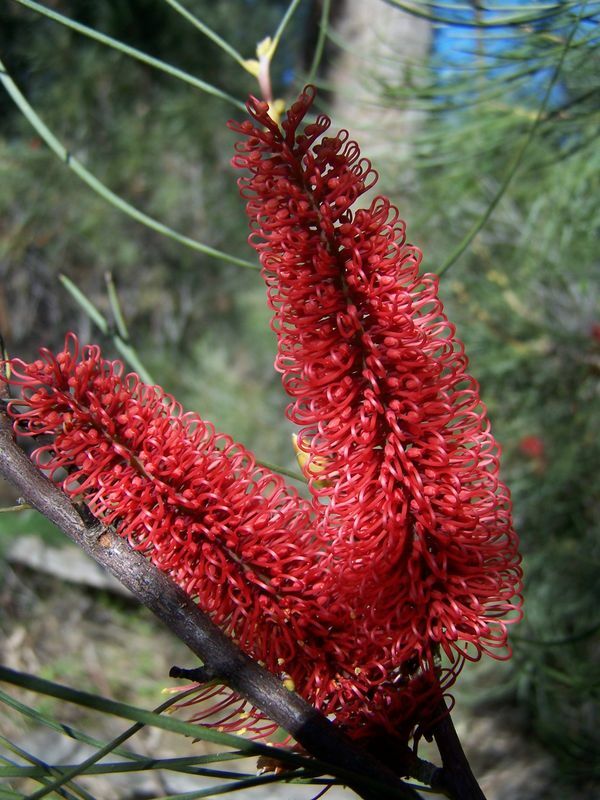 They are one of Australia’s most popular garden plants. 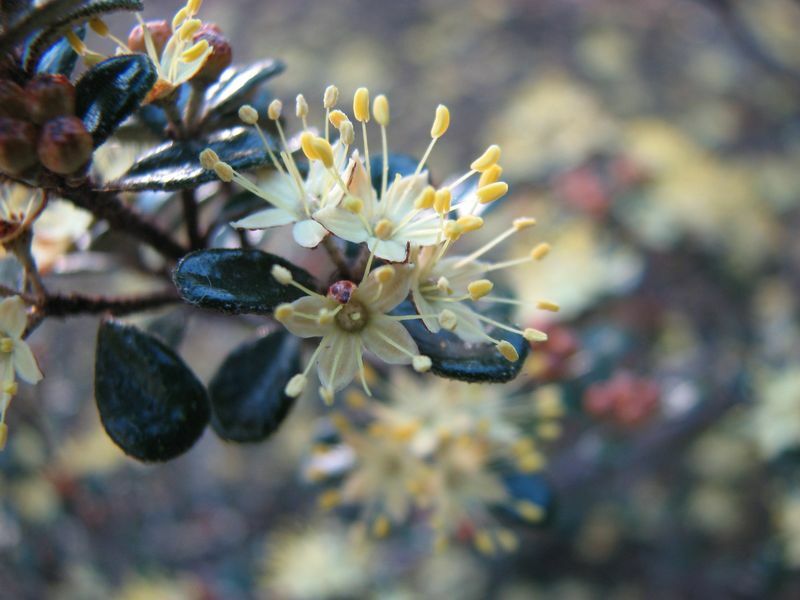 These plants are evergreen shrubs or trees with needle-like foliage and distinctive flowers. The flowers are valued not only for their beauty, but also for their bird-attracting qualities. 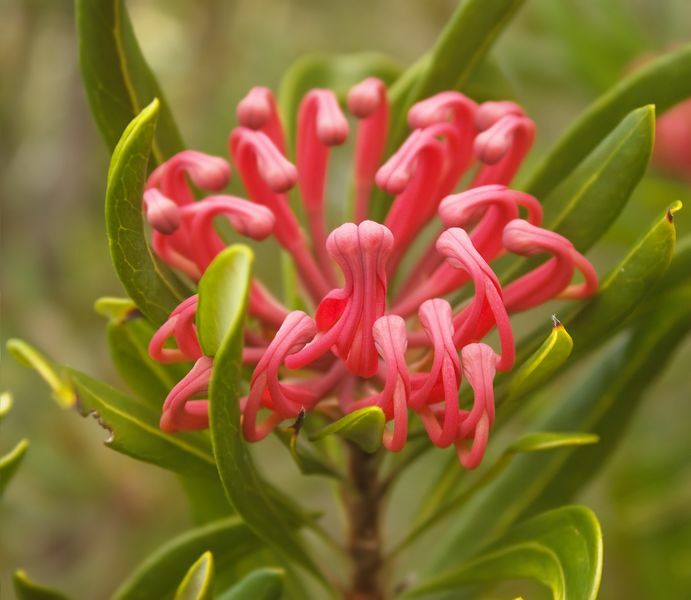 In yellow, red or orange hues, grevillea flowers can be spider-like or brush-like. Grevilleas flower in all seasons. 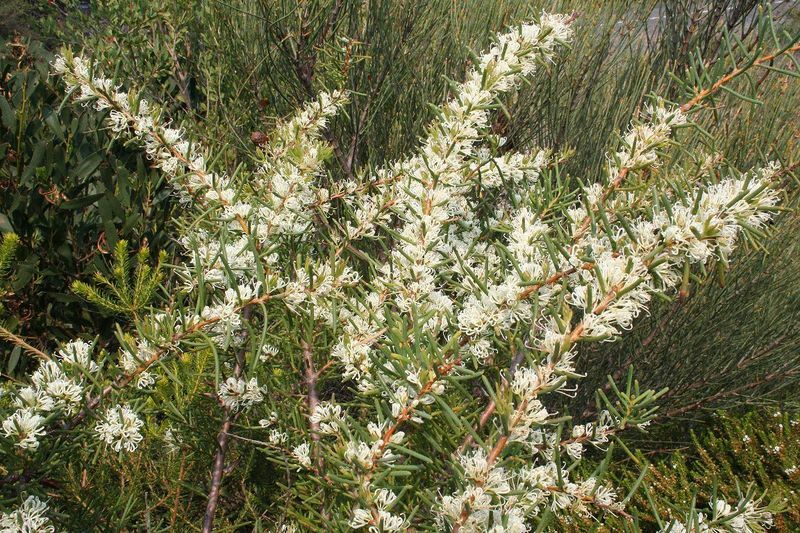 Grevilleas range in size from small shrubs to large trees. Many species have thin pointed leaves which offer protection to birds from predators but watch out; they can be prickly to handle! 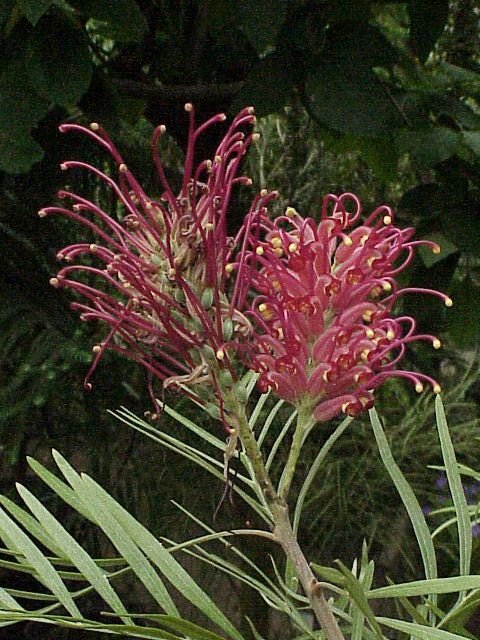 Grevilleas are relatively easy to propagate from cuttings or seeds. It’s best to propagate them between December and March. 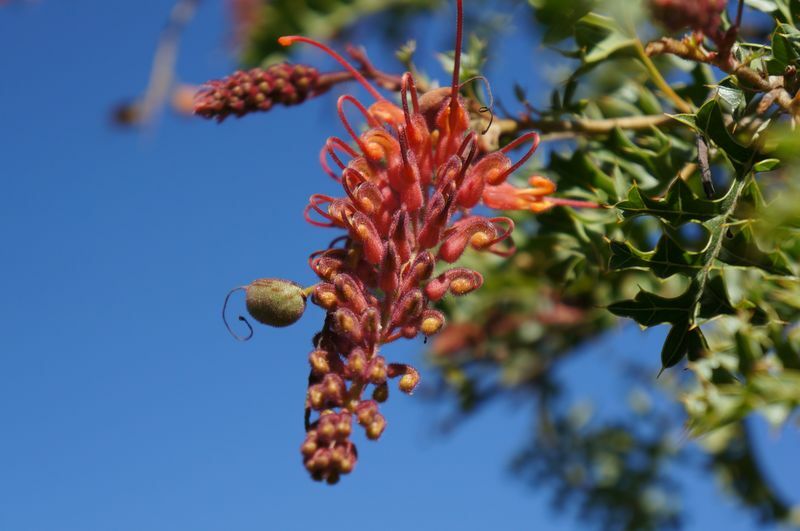 Plant grevilleas in a sunny position in a free draining soil low in phosphates. Water deeply until well established. These plants are drought tolerant. 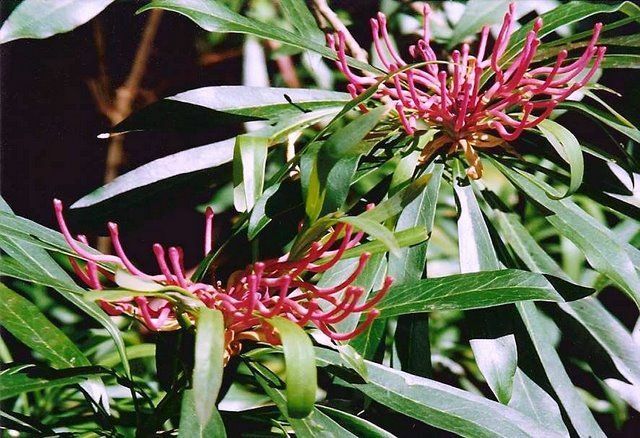 This small tree or shrub is a relative of the grevillea, banksia and telopea. 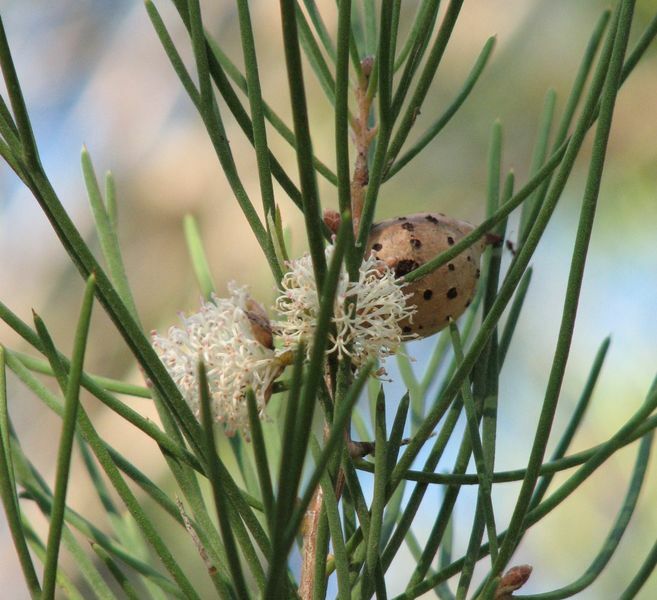 There are 149 species of hakea. 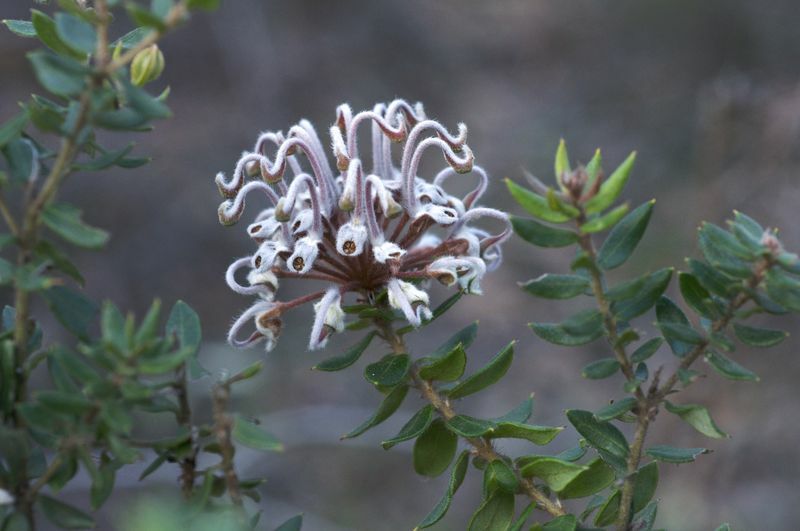 It is found throughout Australia in many different environments including the tropics, mountains, desert and coast, with the largest variety found in southwestern Australia. 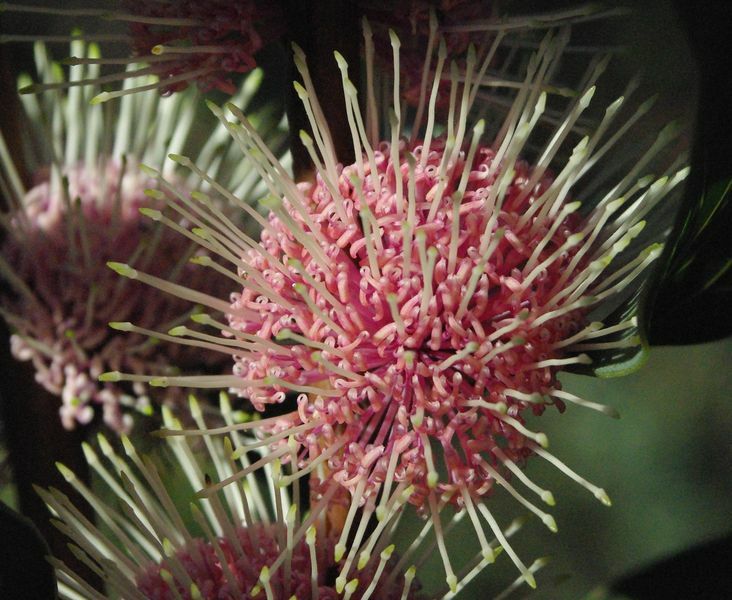 The flowers of the hakea are smaller than those of the banksia and grevillea, but they form clusters called ‘inflorescences’ in spider, pincushion or brush shapes. The flowers usually occur in winter or spring. 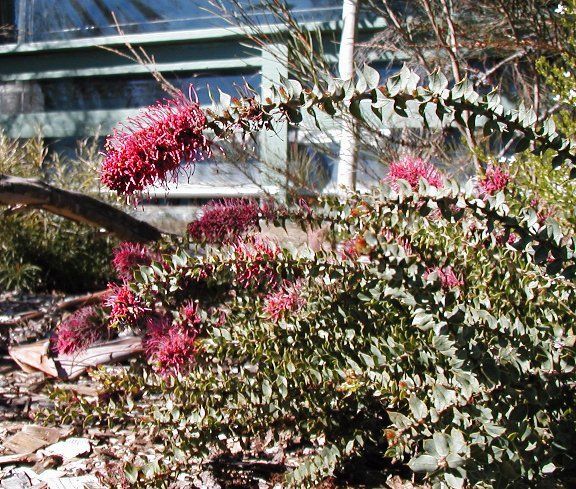 Hakea are not as popular in cultivation as are banksias and grevilleas, most likely because of their sharp pointed leaves. But these can prove an advantage as boundary plants and as refuges for birds from predators such as cats. Hakeas are most easily grown by seed. Seed pods which have turned a deep brown or black colour (usually 12 months after flowering) are suitable for planting. When the pods have dried out, they will split to reveal two winged seeds. This process can be sped up in a low oven. Plant in seed raising mix and keep moist. They can take up to sixty days to sprout. Hakeas are great pollinators and attract honey eating birds. They enjoy full sun and do not like wet soils, and like most natives, are no lovers of fertilisers. They can be pruned back heavily to maintain their shape. 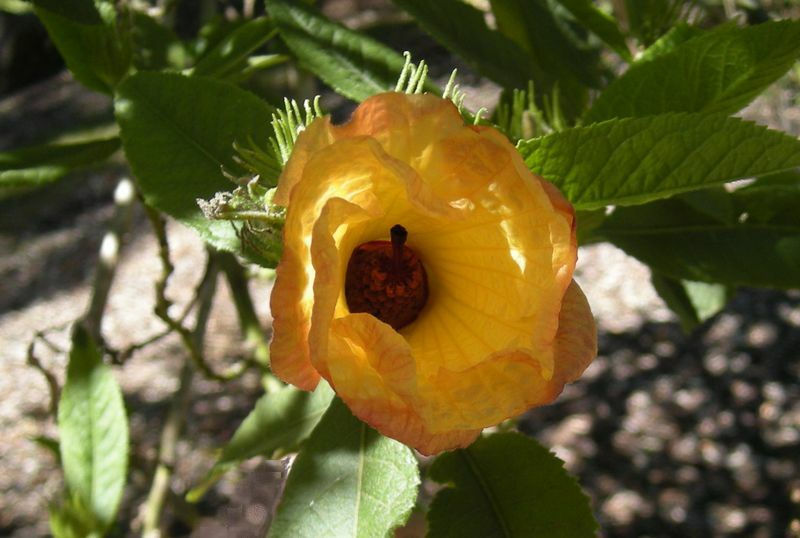 Australia has some 35 native hibiscus species. They are found mostly in the tropics and subtropics but a few can also be found in temperate regions, and grow in a broad diversity of soils. The flowers of the hibiscus come in many hues, including white, yellows, pinks purples and reds. Many varieties attract birds such as honey eaters and lorikeets, and are also butterfly-attracting. Hibiscus flower in a range of seasons, depending on the variety. Grown from seedling, hibiscus perform best in garden beds. If grown from a cutting, they can do well in pots as they will have fibrous rather than tap roots. Hibiscus are popular in the garden because they are fast growing and long-flowering. They also attract birds to your backyard. 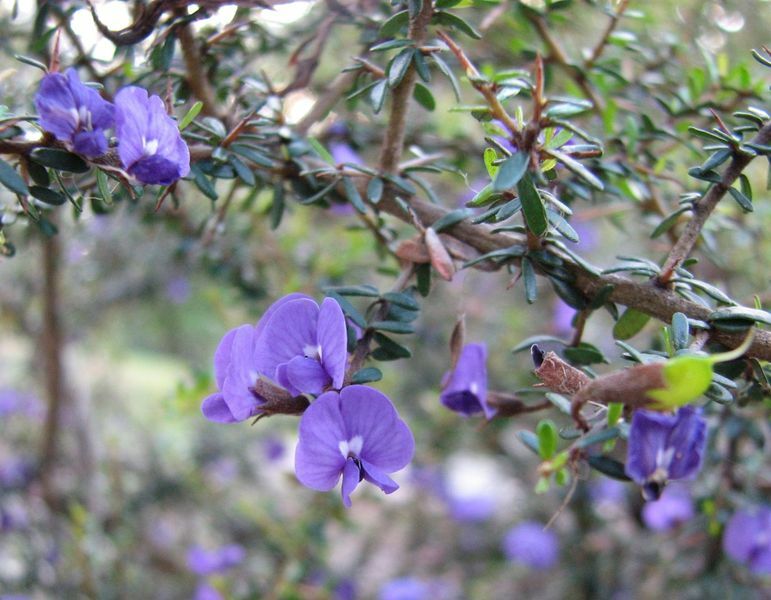 All 20 species of the purple flowering shrub hovea can be found in Australia. From the edges of Queensland’s rainforests to the central coast of New South Wales, you’ll find these blooming plants. 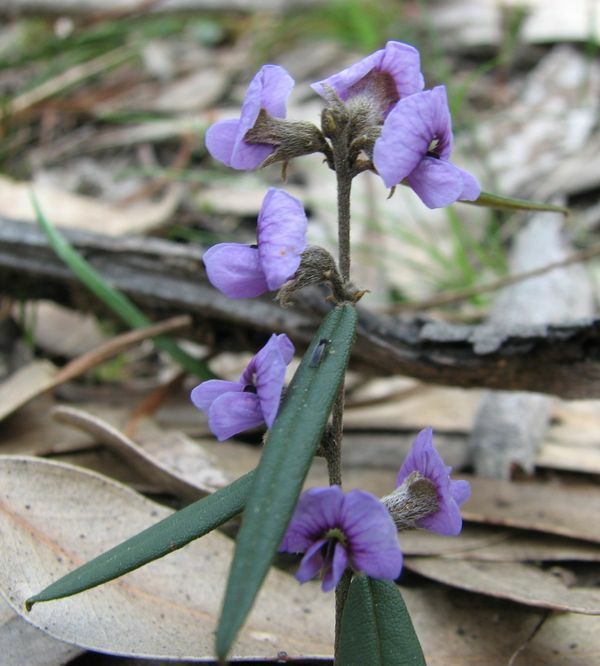 The hovea grows to between 1.5 and four metres tall, with dense stems and branches and pea-shaped purple flowers. 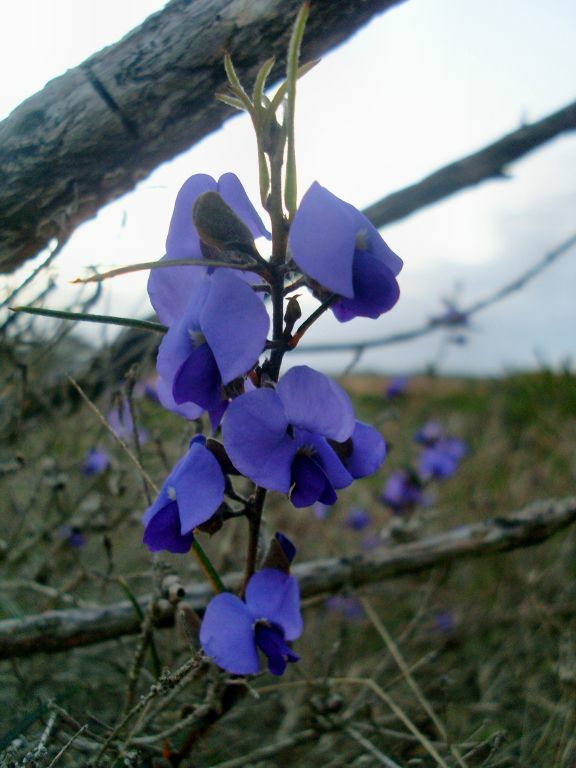 The purple pea is a popular plant to cultivate, with many species being grown for years outside their natural habitats. 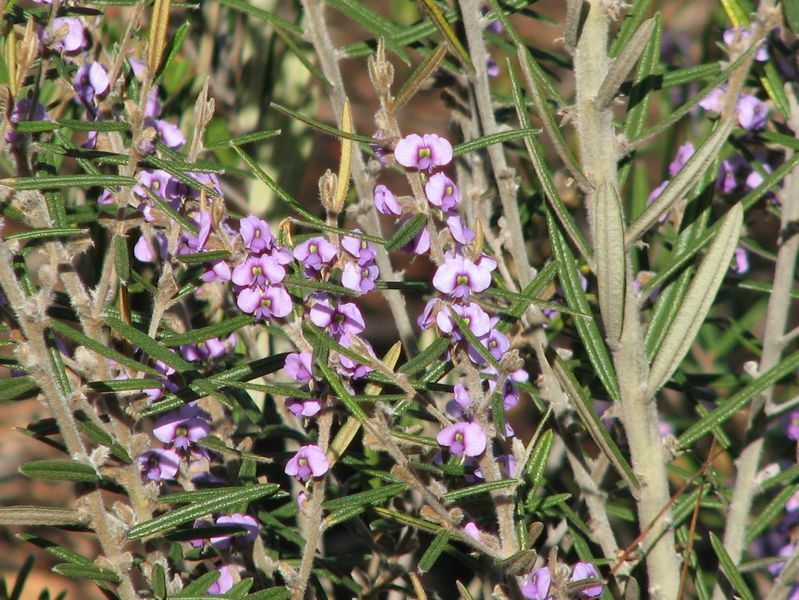 You can grow hovea is temperate climates and sub-tropical areas, as long as the soil is well drained. Keep the plant in a partially shaded area. You can propagate the hovea from its seed, but it must first be pre-treated so you can crack the seed coating that causes seed dormancy. This process usually requires abrasion or boiling water – you’ll find the methods in the section below. 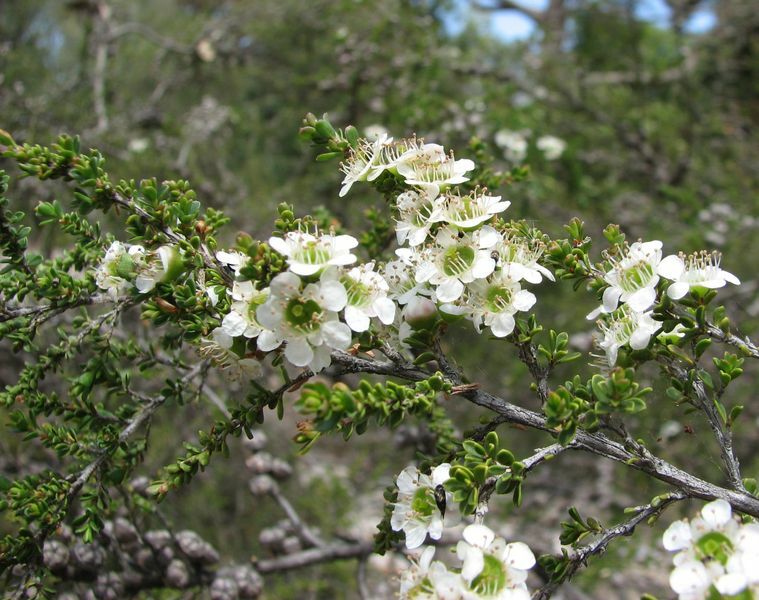 There are about 83 species of leptospermum – better known as teatrees – in Australia. They can be found in a variety of habitats from coastal areas to mountain slopes along the eastern seaboard of Australia. 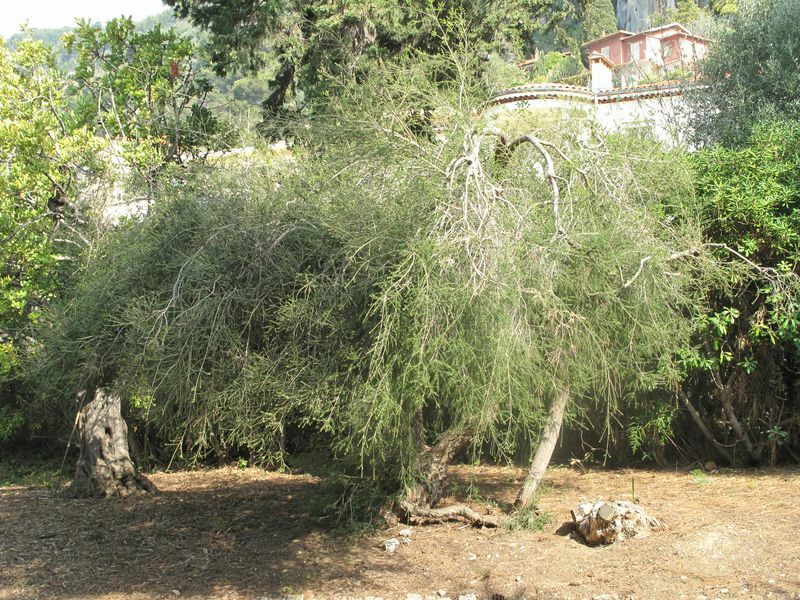 Teatrees grow to an average of three metres high. 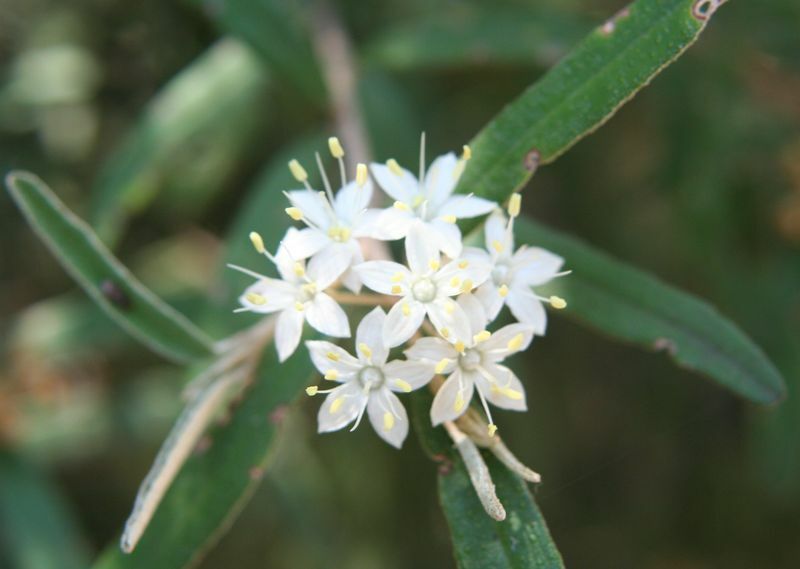 Its common name derives from the days of the early settlers, when the leaves of certain species were used to make tea. 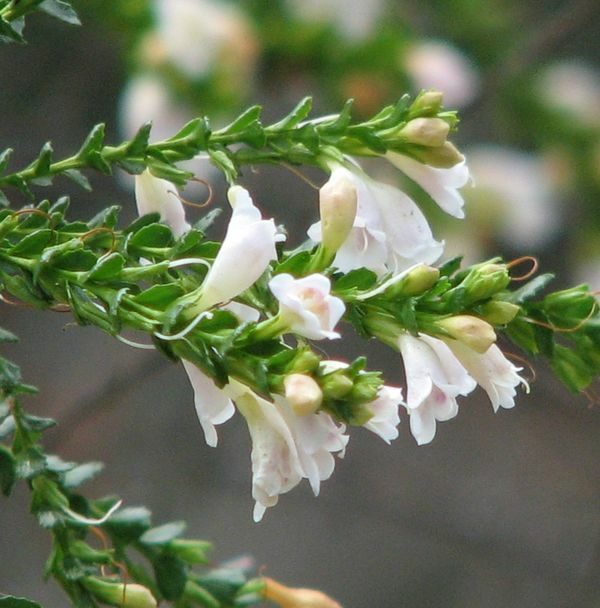 The plants are dense and hardy and the flowers grow in white or pale pink colours. Teatrees flower in spring and summer. The flowers of this species are popular as cut flowers. 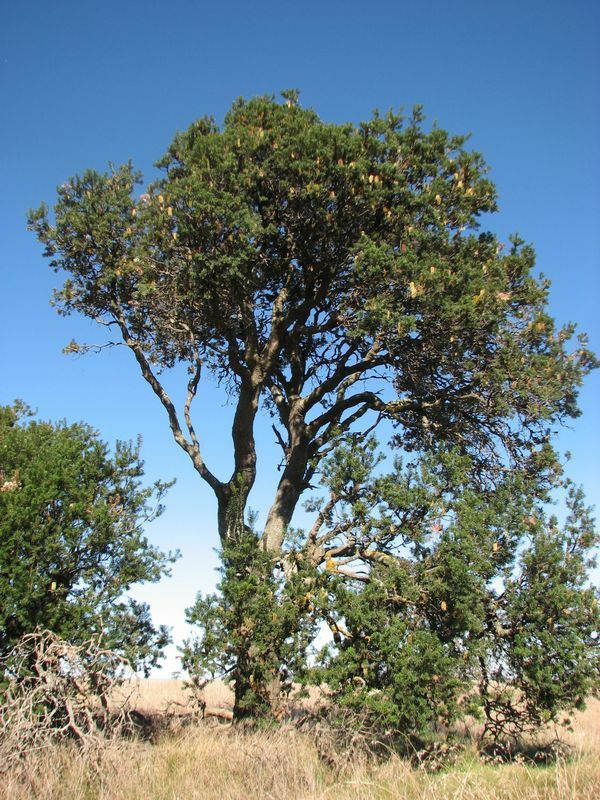 Teatree are hardy and grow well in most soils and aspects. They grow easily from seeds and cuttings. They are fast growers, frost-tolerant and many of the species can tolerate poorly draining soils. The trees grow in a compact way, which makes the plants good for screening. If you’re after cut flowers, take them from the new wood for best results. 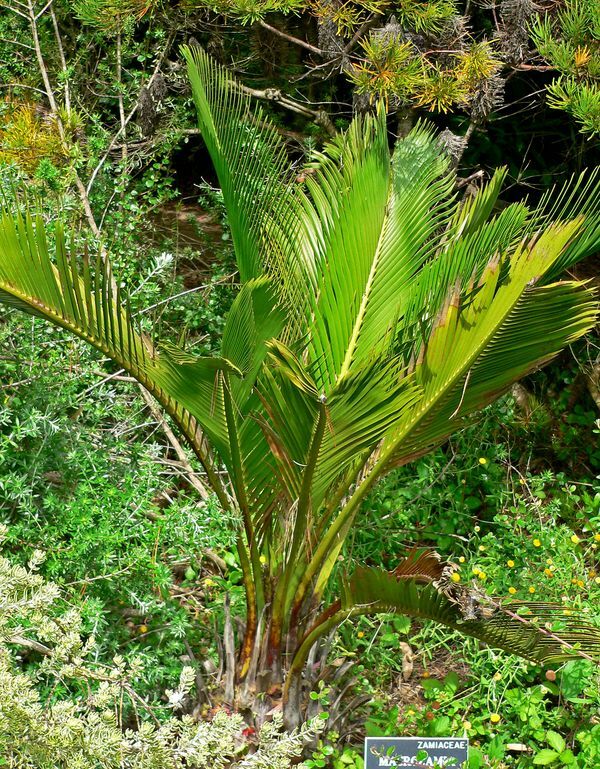 Macrozamia are cycads, ancient plants that are descendants of the cycad ferns thought to have dominated the world’s vegetation around 200 million years ago. 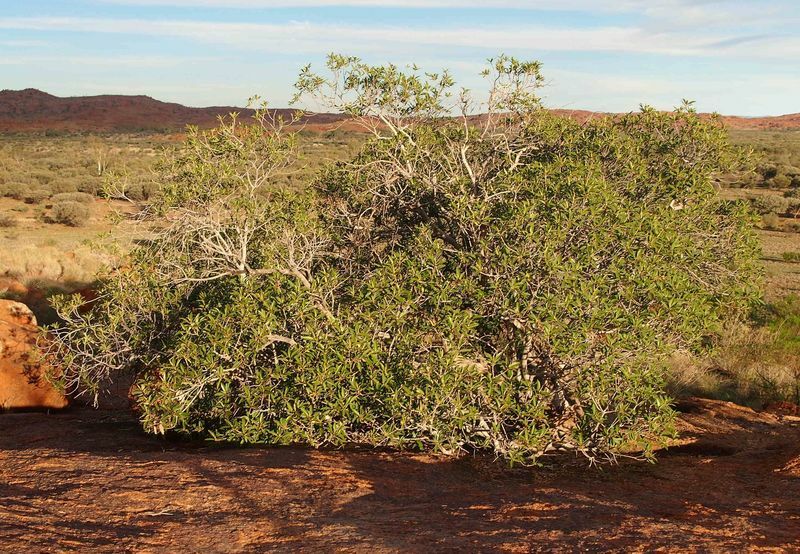 Australia has about 38 species of these extremely slow growing plants, mostly along the tropical and sub-tropical coasts of eastern and southwestern Australia. 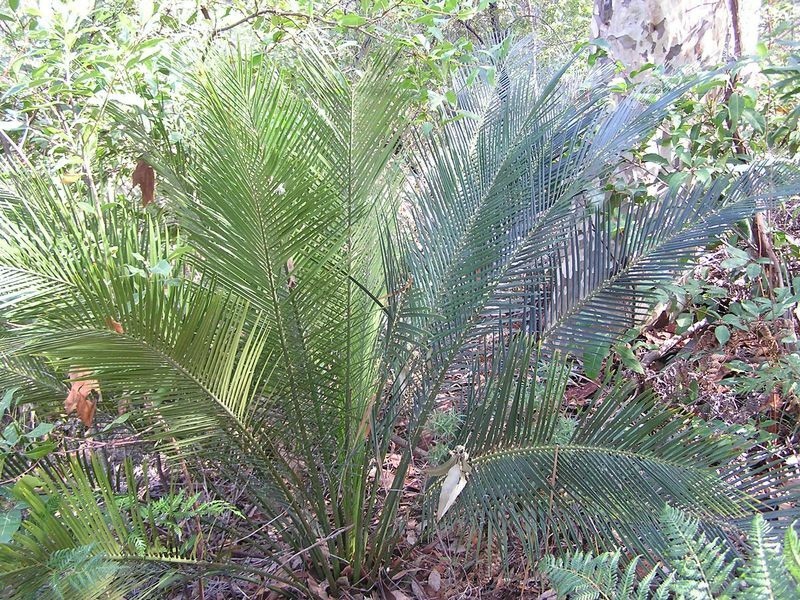 Although macrozamias look like ferns or palms, they are actually related to conifers as they bear their seeds in cones. 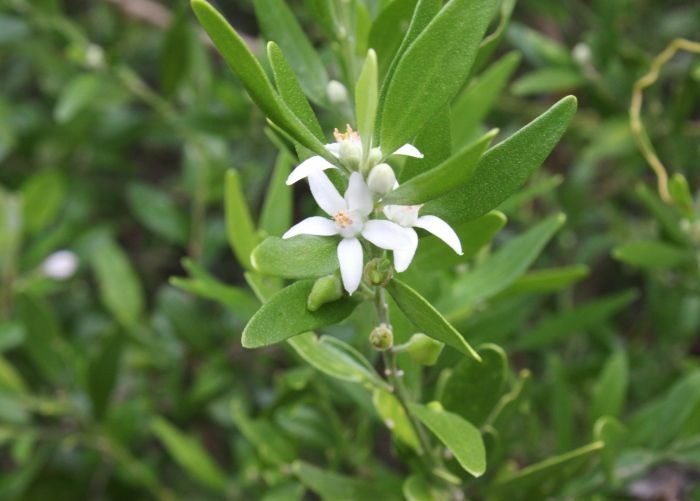 Its leaves grow up to two metres long with glossy green leaflets. Macrozamias can be propagated by the seeds, which are large and very hard. Sow the seeds in well-drained sandy mix in a warm sheltered spot. Keep the top of the seed showing just above the soil. But be warned: germination can take up to two years! And it may take about five years for the plant to deserve a feature spot in your backyard. Once you see the first leaves, you can pot up the plant. It will look great in a shady spot on your verandah or pergola. 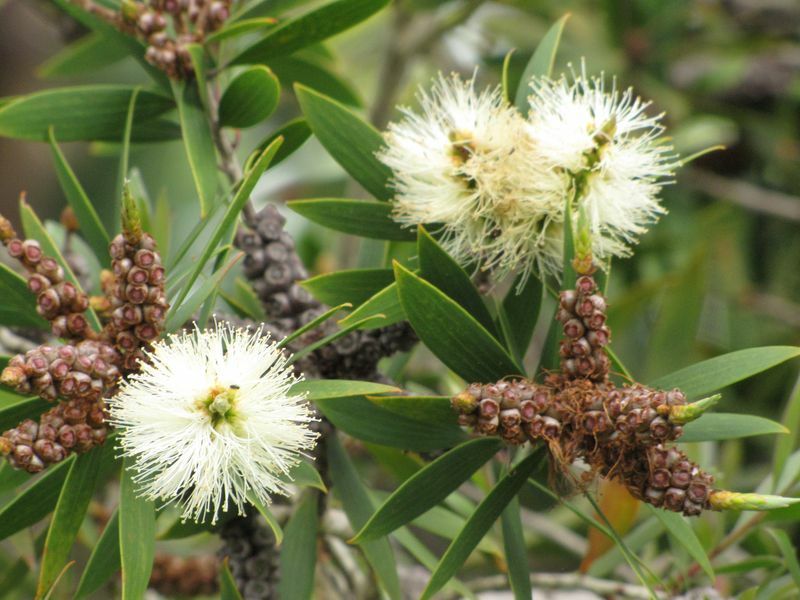 The melaleuca is the second largest genus of plant in Australia after eucalyptus, with 230 species. Melaleuca range from one metre high shrubs to trees of 35 metres. 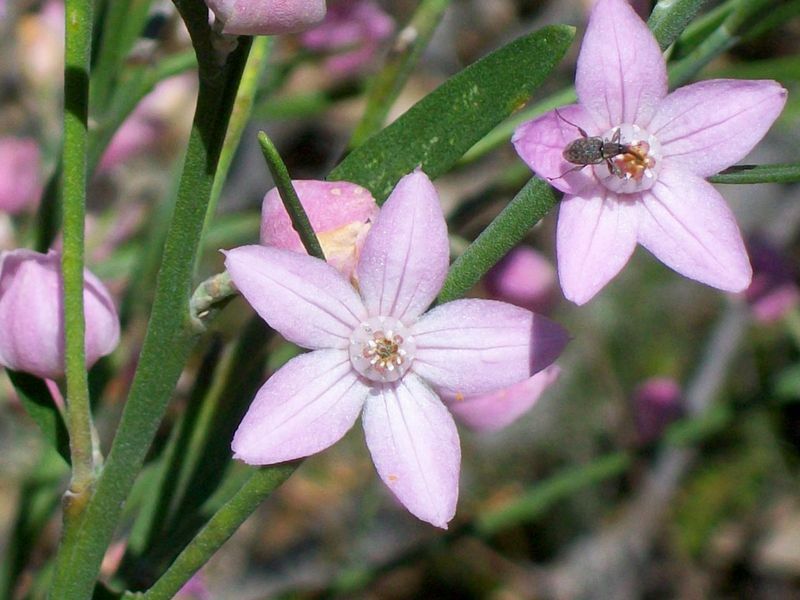 Melaleucas grow widely within Australia, with the highest density in southwest Australia. They have adapted to every type of environment with some species suited to swamps and others to dry sandy soil. 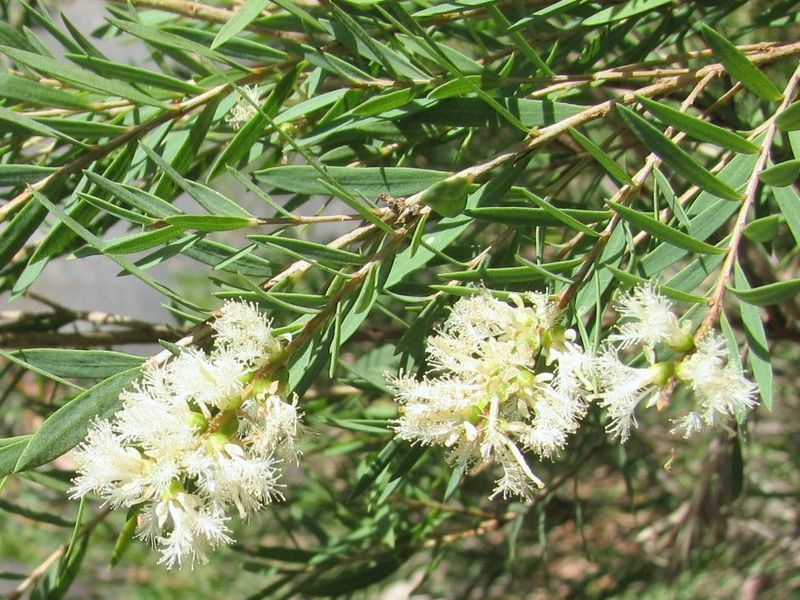 Melaleuca flowers generally form a spike superficially similar to those of the banksia, but their structure is very different. 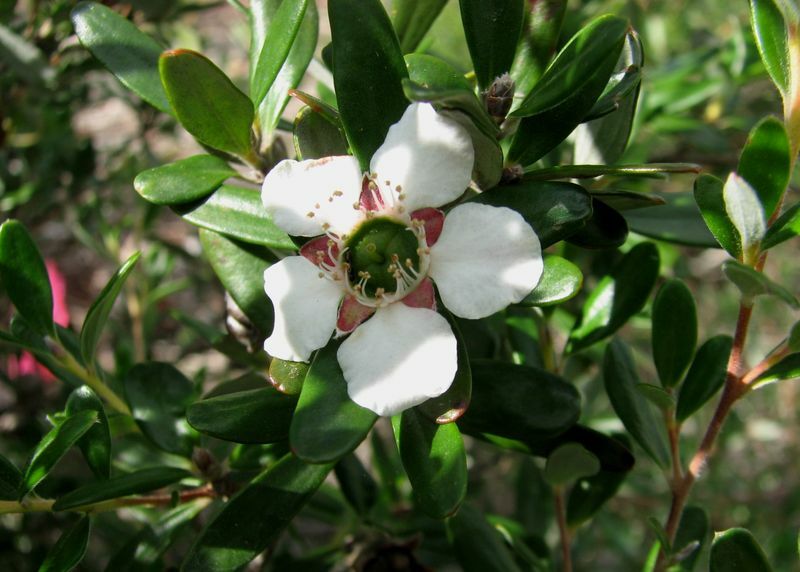 Tea tree oil comes from Melaleucas. 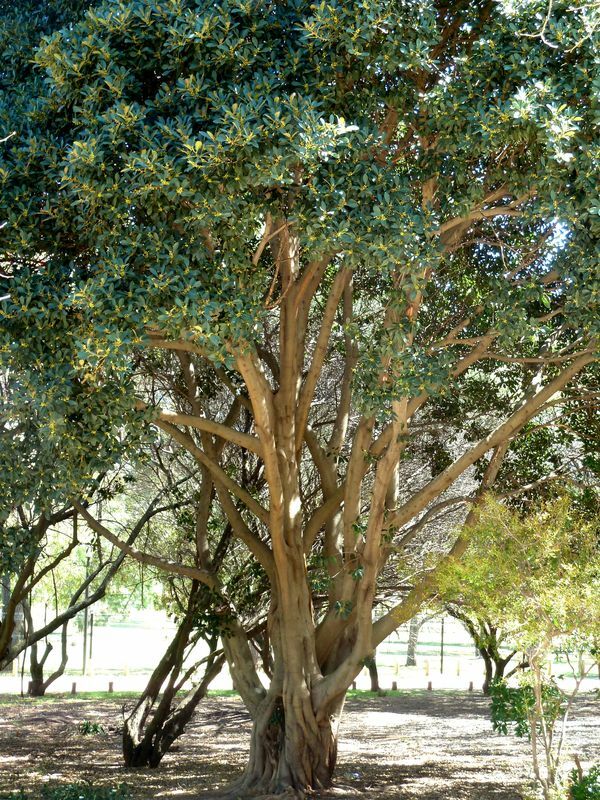 Some melaleucas can be grown as trees, while others can be ornamentals in your backyard. The best method of propagation is from cuttings. They refer moist soils and can be pruned. They are more tolerant of fertilisers than most native plants. 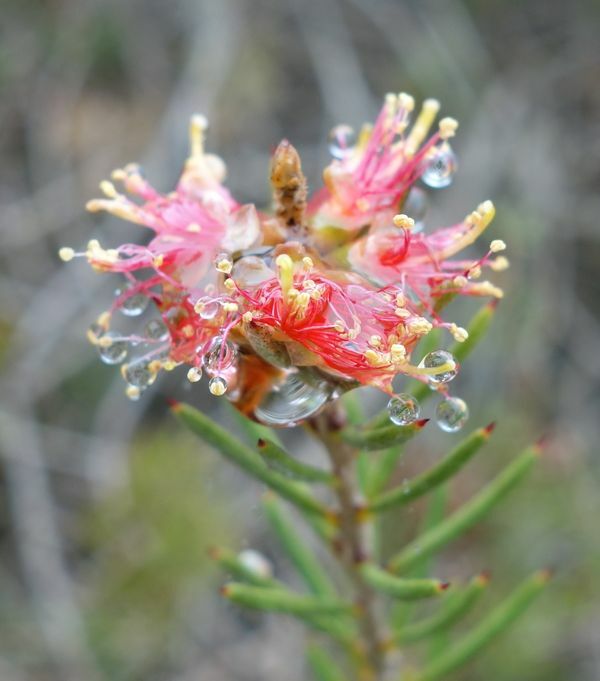 There are 25 species of phebalium, with all but one endemic to Australia. 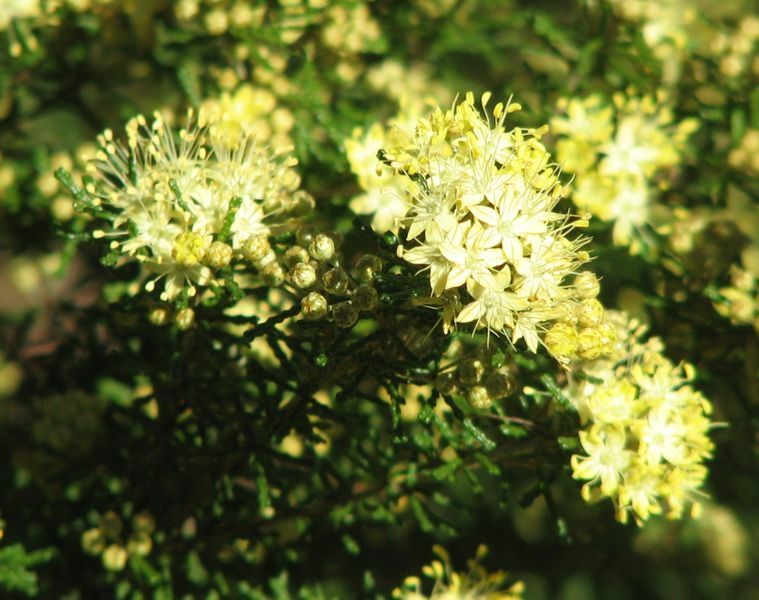 You’ll find most phebalium in the eastern half of the country, including Tasmania. Two species are particularly popular. 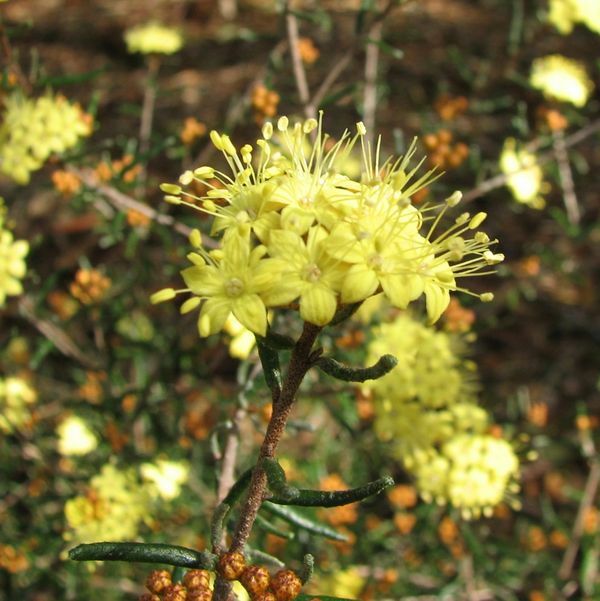 The phebalium squamulosum grows along the eastern coast from northeastern Queensland to Wilsons Promontory in Victoria. 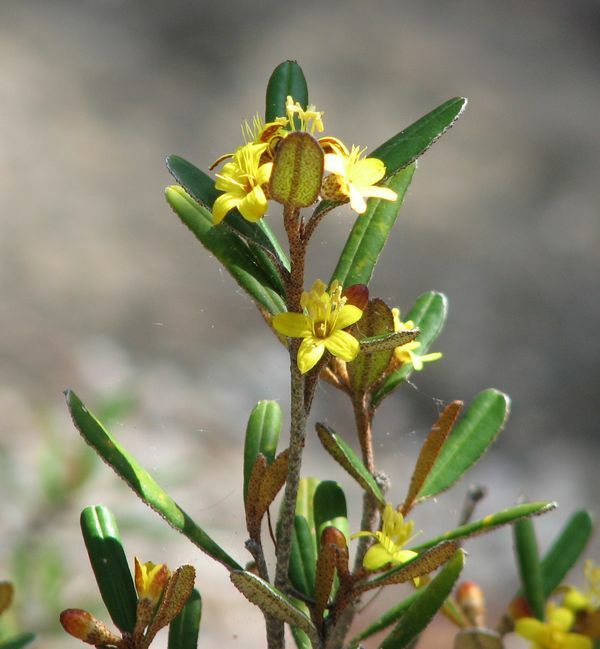 It is commonly found in coastal areas among the sand dunes. 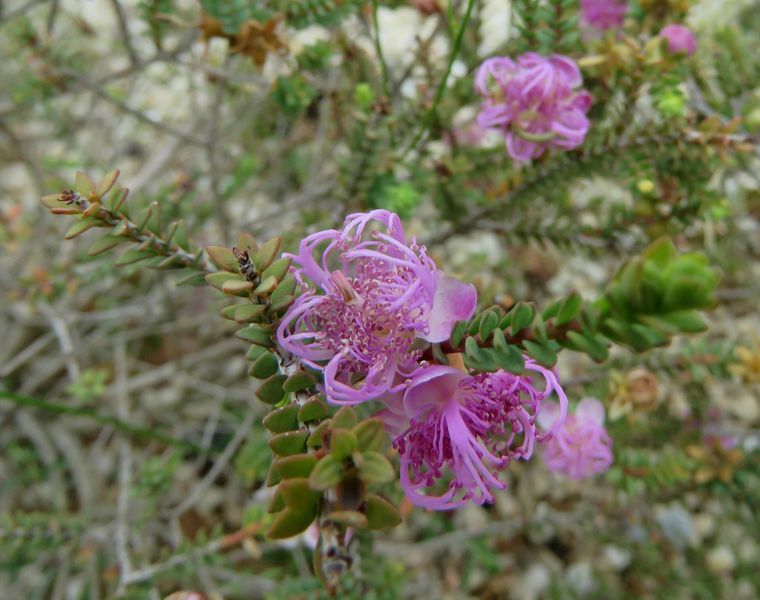 Most phebalium are small shrubs with aromatic, star-like flowers. The flowers range from cream to bright yellow in colour. It often flowers in early spring. The phebalium can be difficult to grow from seed but grows easily from cuttings, forming roots within four to eight weeks. Phebalium like well drained soil in a mildly shaded position. It fares pretty well in dry weather. Because of these factors, this plant is good for beach areas. It grows well in sand and tolerates salt spray. Some phebalium species take well to pruning and can look good as a hedging plant. 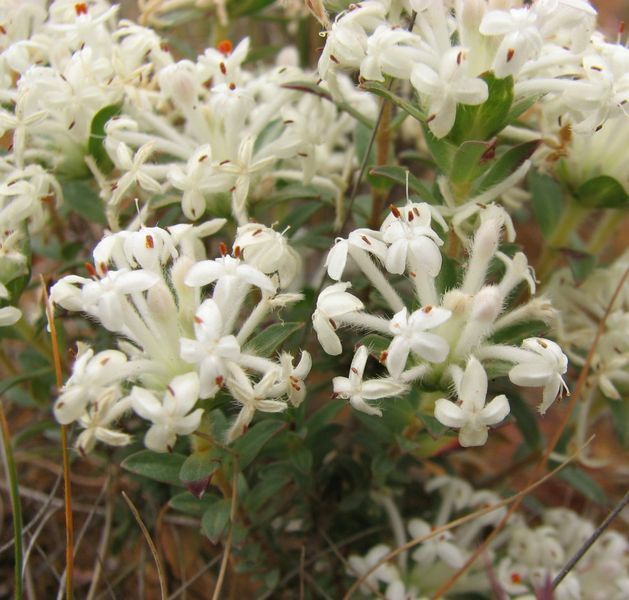 Pimelea is a dense, low-growing shrub native to southwestern Australia and New Zealand. The plant has some 80 species. It’s also commonly known as the rice flower. 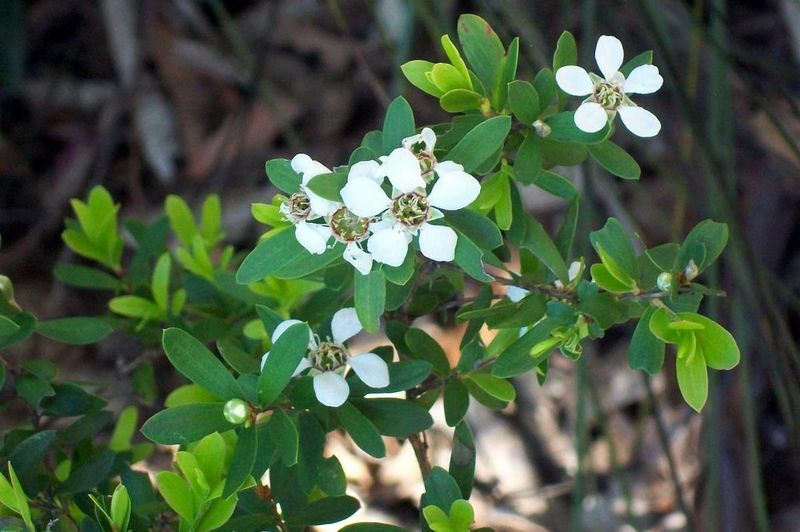 Pimelea are widely cultivated throughout Australia and are typically found in the coastal areas of southwestern Australia. Many of the species are poisonous to cattle and horses. 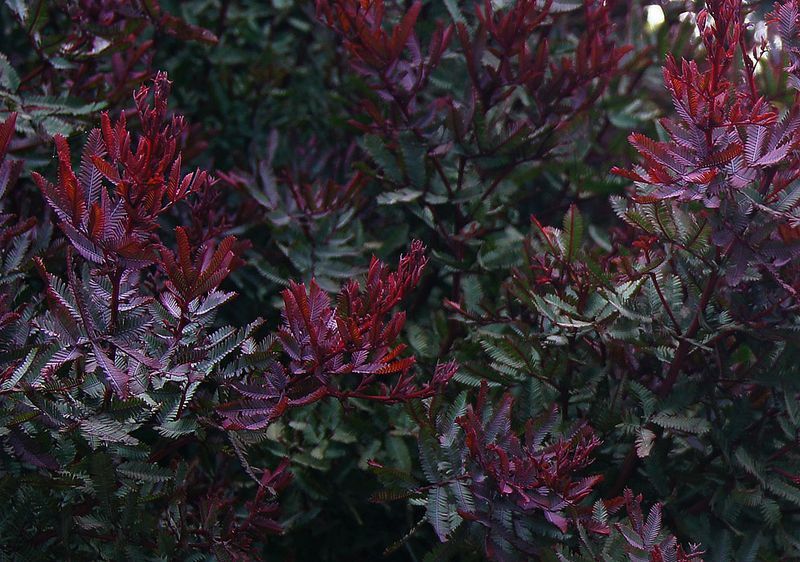 This flowering shrub has deep green foliage and displays deep pink flower clusters which grow from early spring through to summer. Some types of rice flower produce paler pink or white flowers. Pimelea is best grown from cuttings. It will grow in all soil types, and in full sun or partial shade. 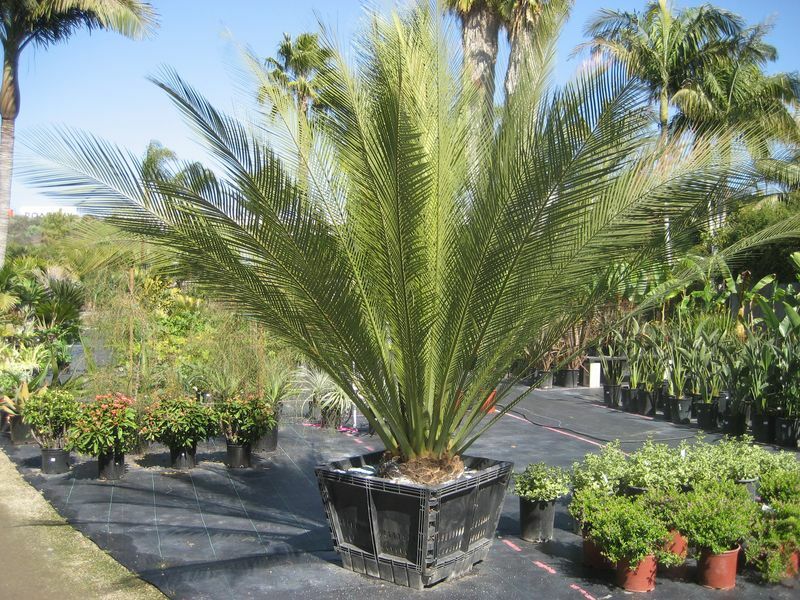 It is best suited to coastal gardens in a dry climate. 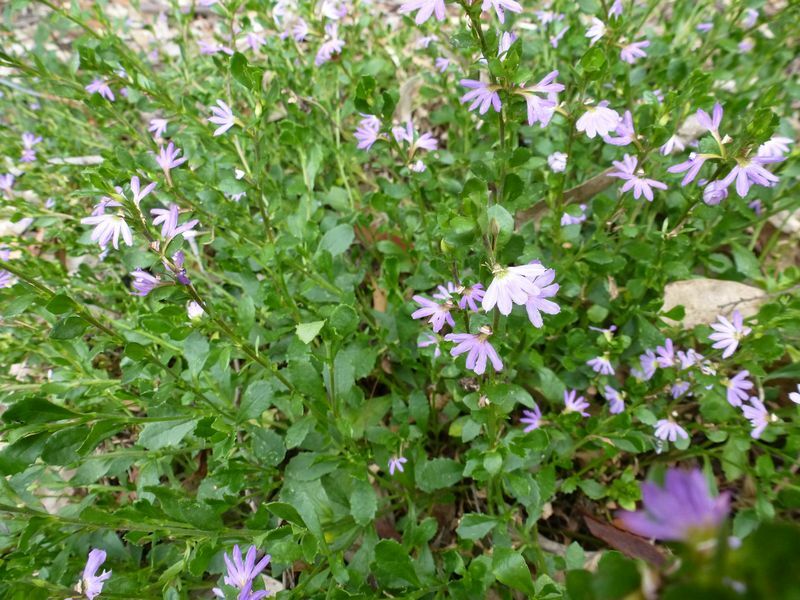 Scaevola are groundcover plants that have become hugely popular because of their stunning purple, pink, blue or white fan flowers with yellow centres. 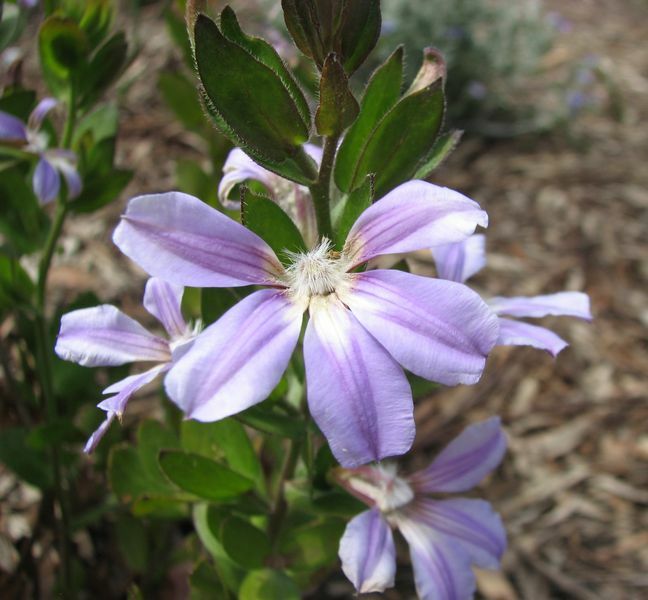 There are 130 species of Australian scaevola, distributed on the southeastern and western coasts of Australia. The plants grow anywhere from 30 centimetres to about 80 centimetres. 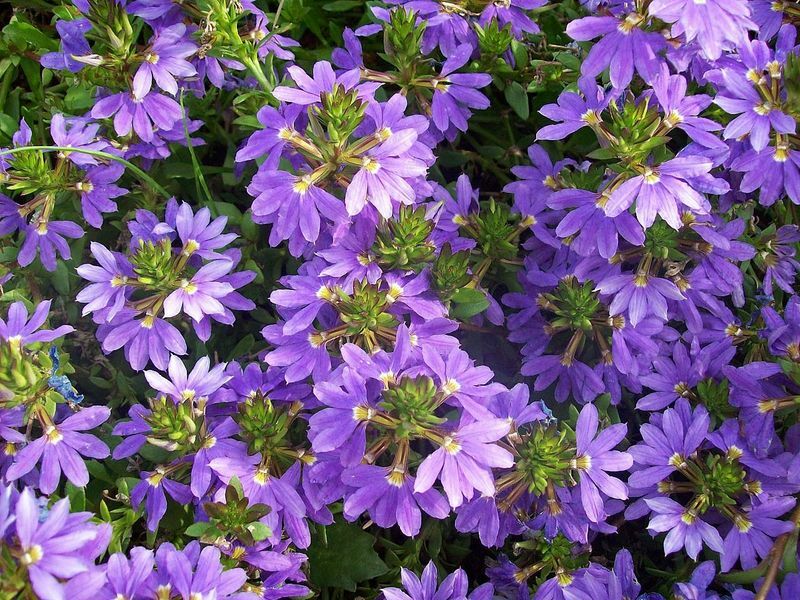 One of the most popular varieties, scaevola aemula (Fairy fan flower), produces large purple flowers throughout most of the year and has been used to create many vividly coloured hybrids. It's best to buy these plants when in flower to ensure that you have one that flowers well - they can be variable in quality. Most species can be grown easily from cuttings and require good drainage and full sun. Some of the more floriferous plants will suddenly die at the end of their flowering season, so make sure you have some cuttings on hand! Fan flowers are great in verandah pots or hanging baskets where they present a mass of colour. 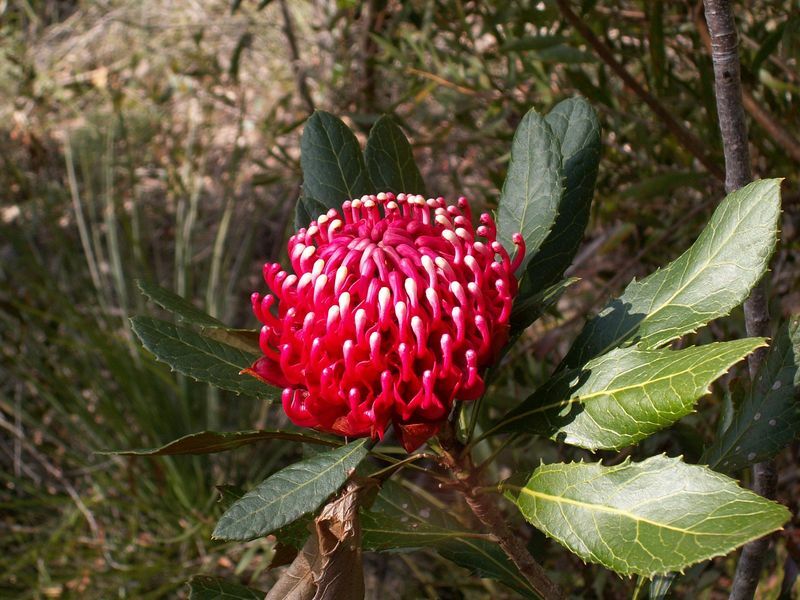 There are five species of waratah, of which the most well-known is telopea speciosissima. 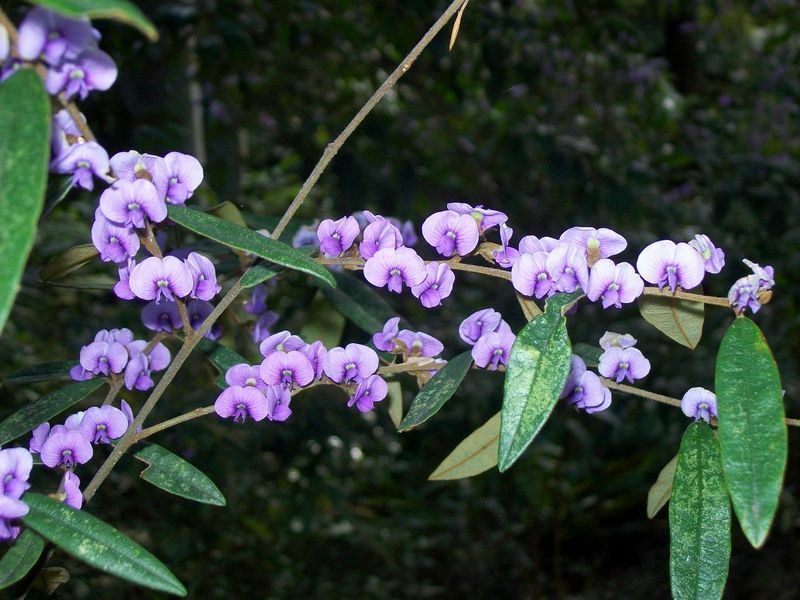 This showy plant is so popular, it is the floral emblem for New South Wales. 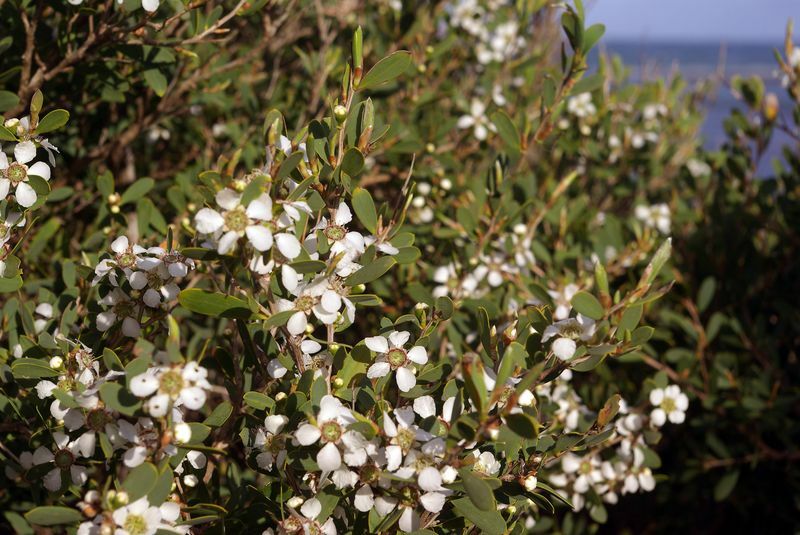 These small trees grow along the eastern coast of Australia from northern New South Wales to Tasmania. Most are found north of Sydney and in the Dandenong Ranges in Victoria. 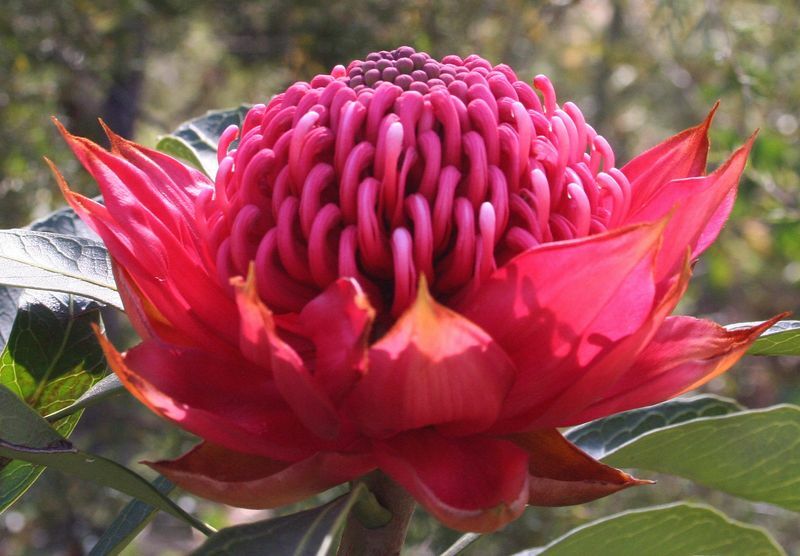 Waratah produce spectacular, large and generally bright red flowers in spring, which attract a wide variety of birds. Waratahs are sadly difficult to propagate. They are usually cultivated by commercial growers – but that at least means they are easy to access from a nursery! They are generally propagated from seed and germinate within 2-3 weeks after sowing. Waratahs only require light watering. Don’t expect year-round beautiful blooms though; their flowering period can be short, unpredictable and unreliable.